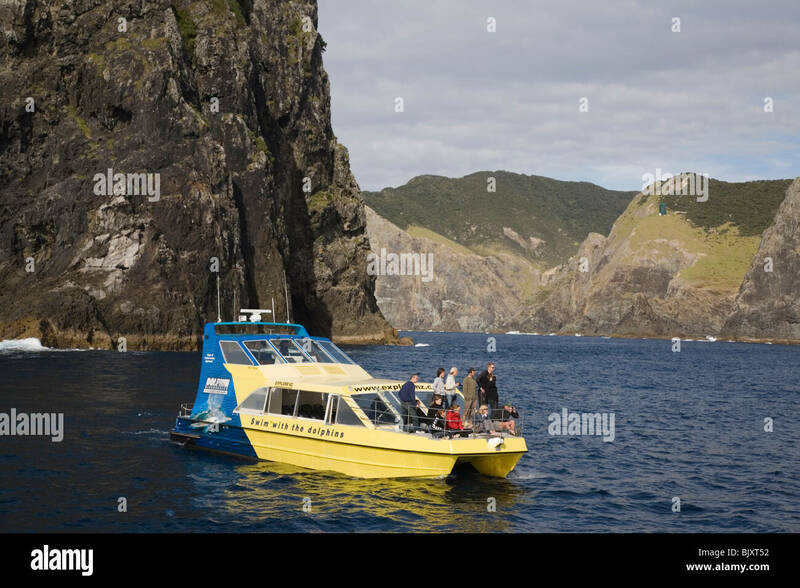 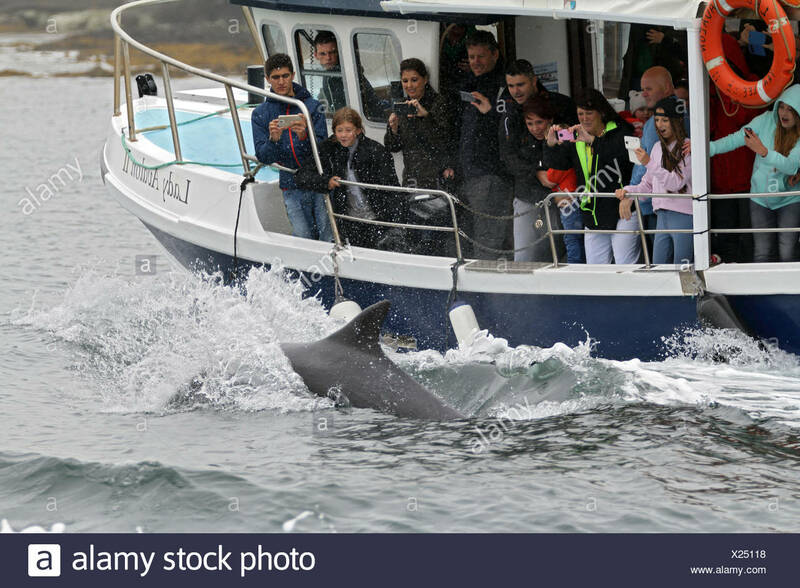 Dolphin watching, Bay of Islands, Northland, New Zealand. 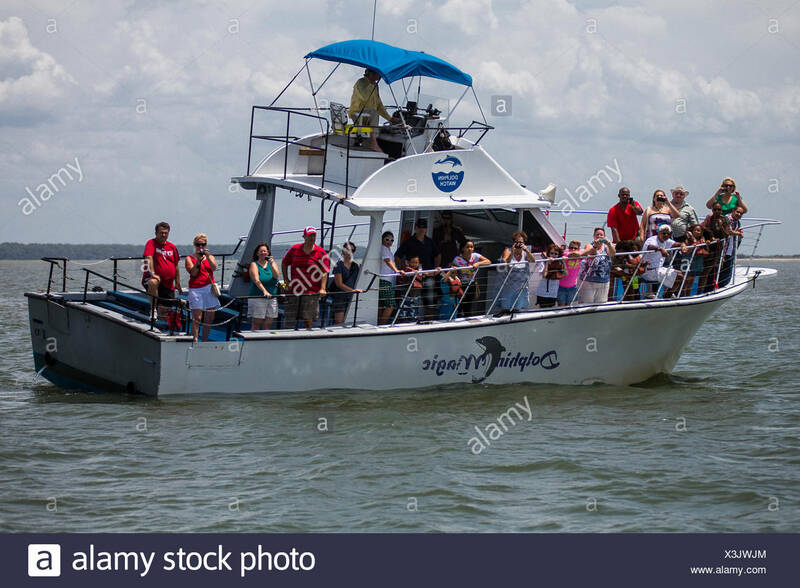 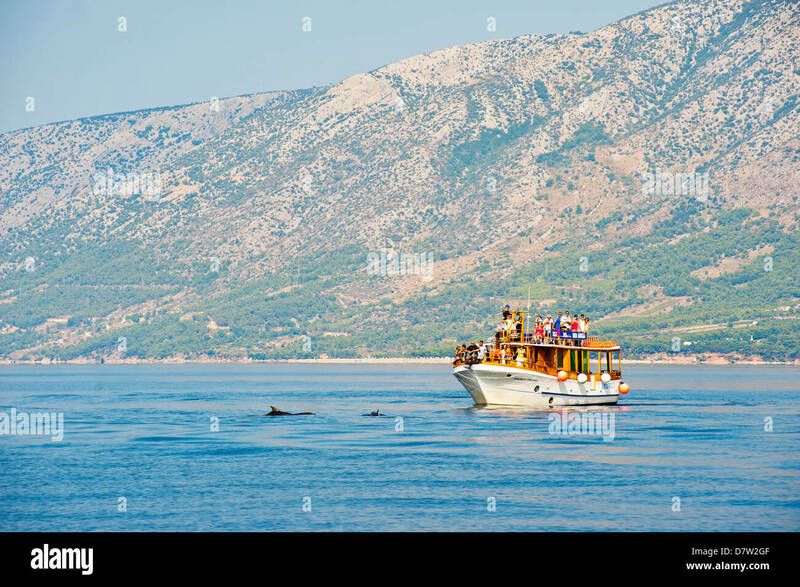 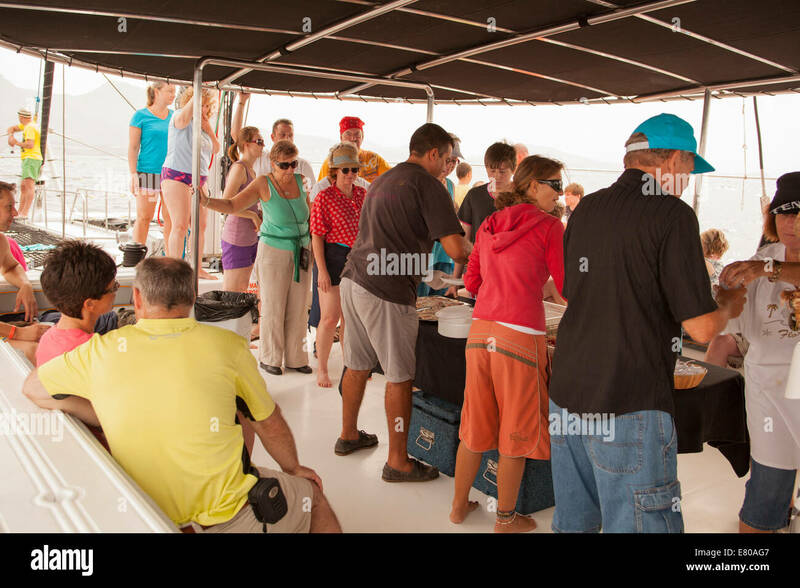 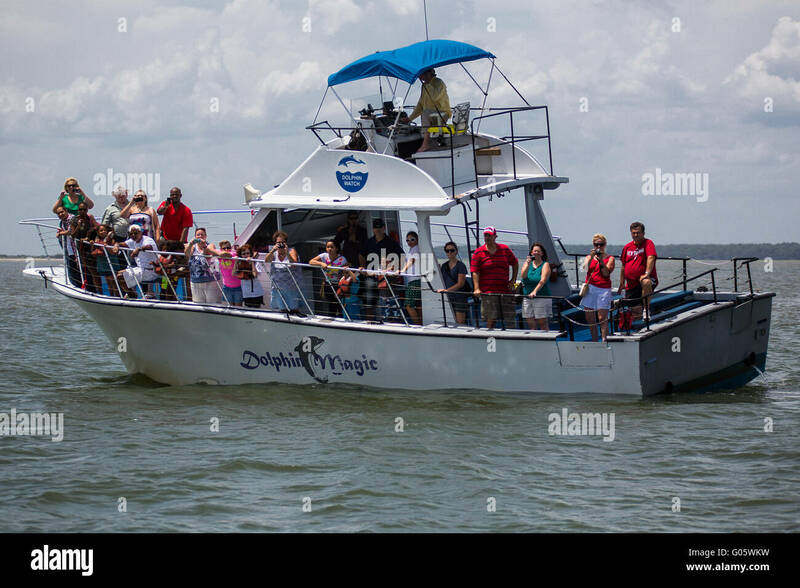 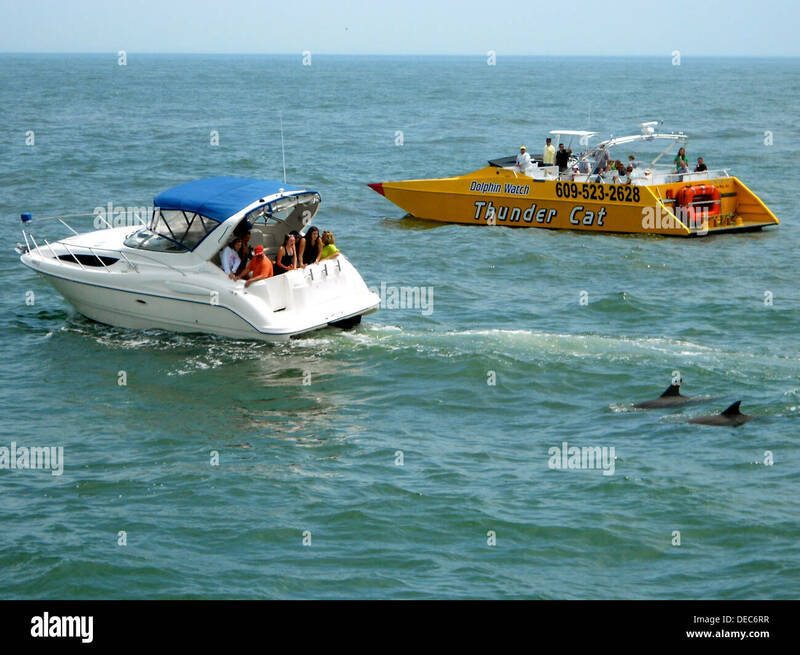 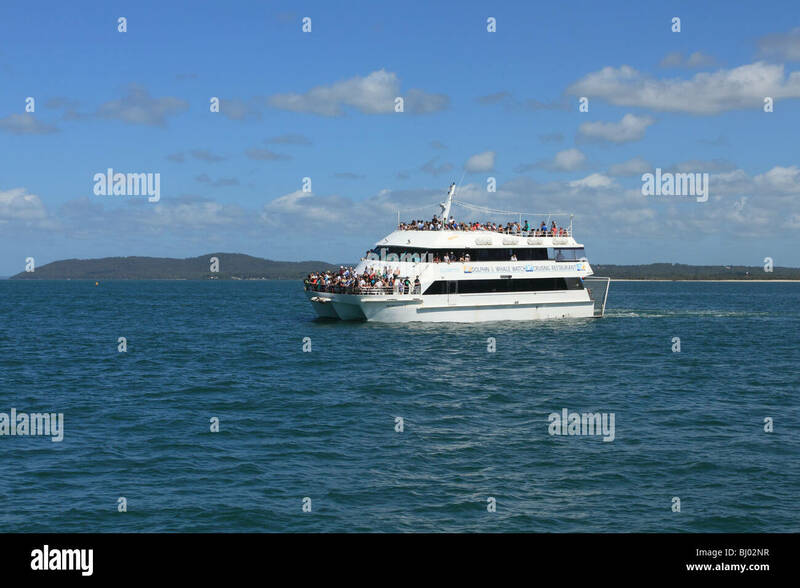 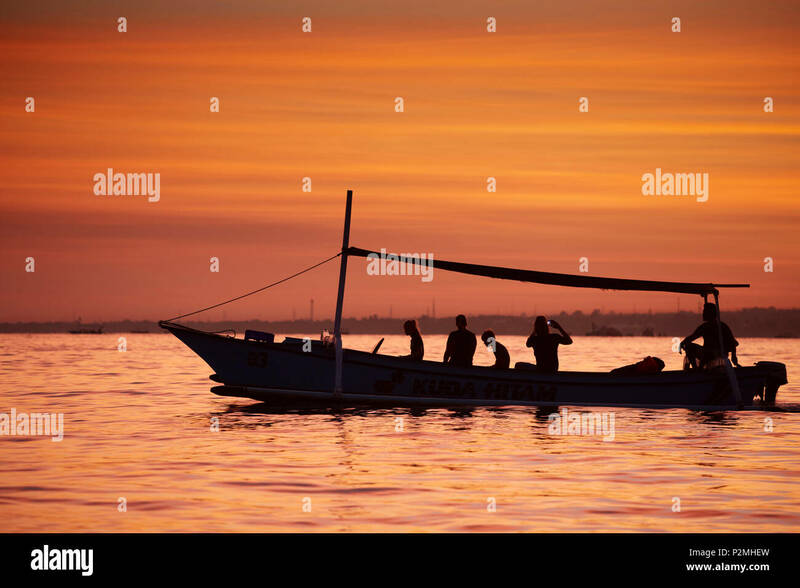 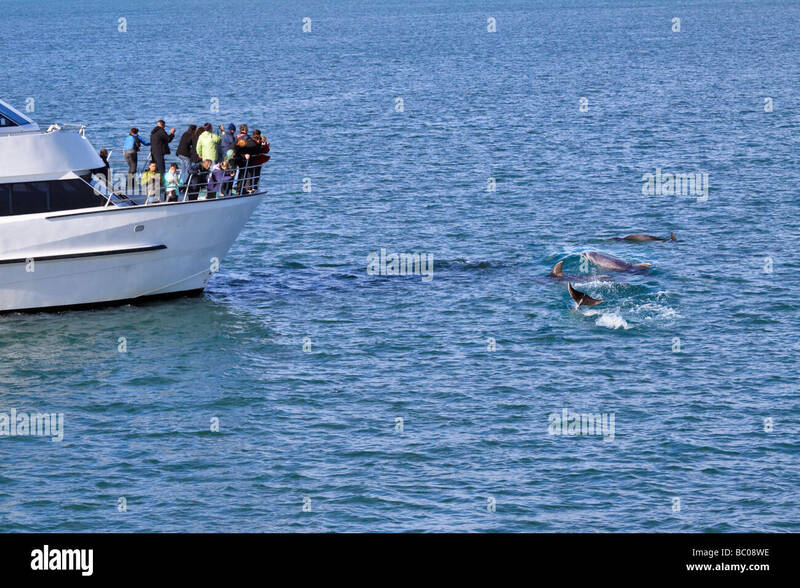 Tourists crowd the bow of a dolphin watching boat. 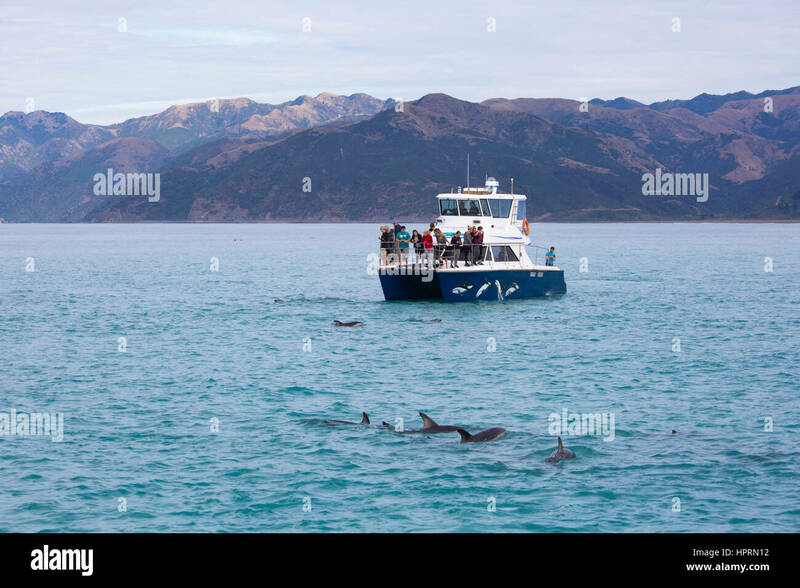 Kaikoura, Canterbury, New Zealand. 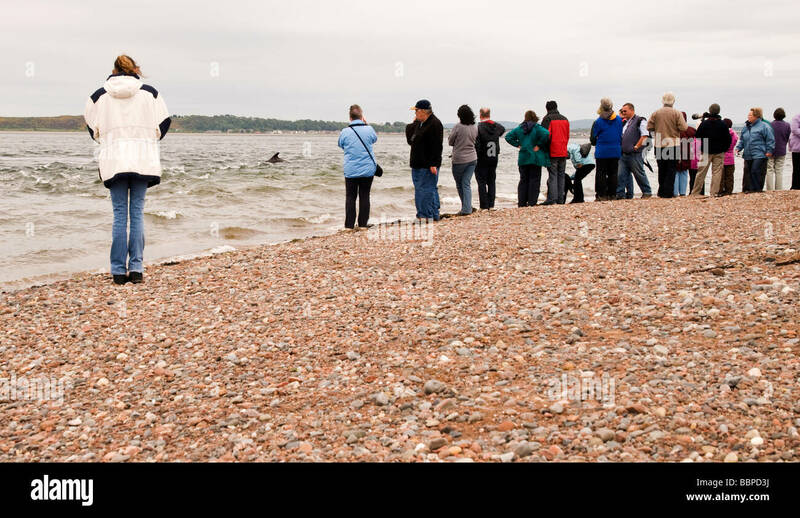 Tourists watching a pod of dusky dolphins (Lagenorhynchus obscurus) in South Bay. 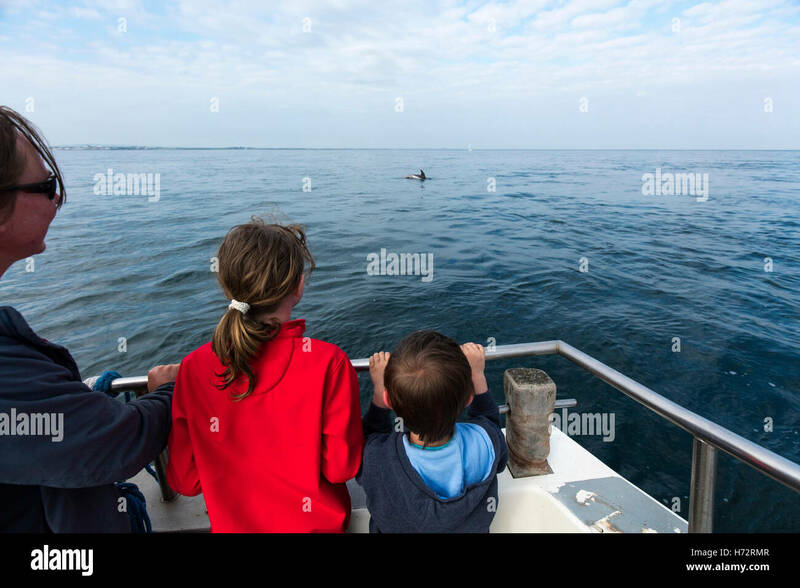 Dolphin watching near the Saltee Islands, County Wexford, Ireland. 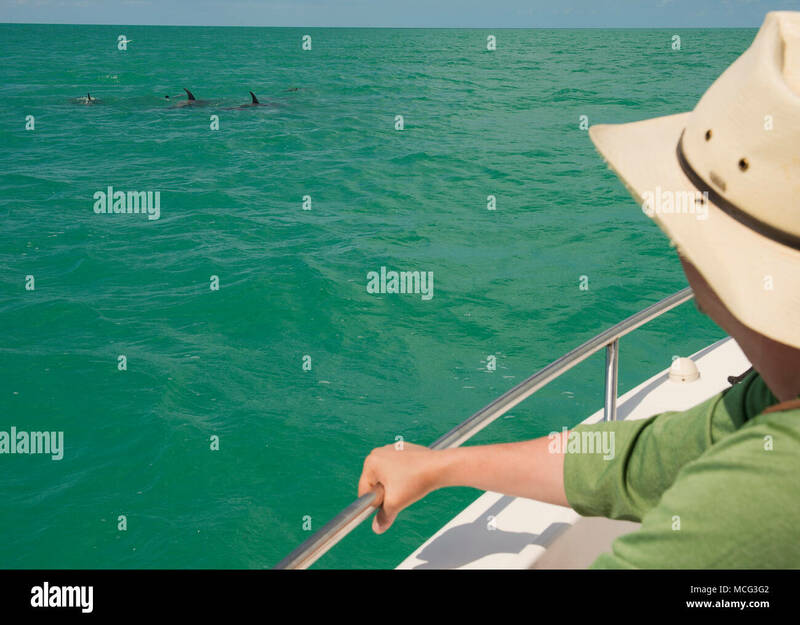 A person dolphin watching in Key West, Florida. 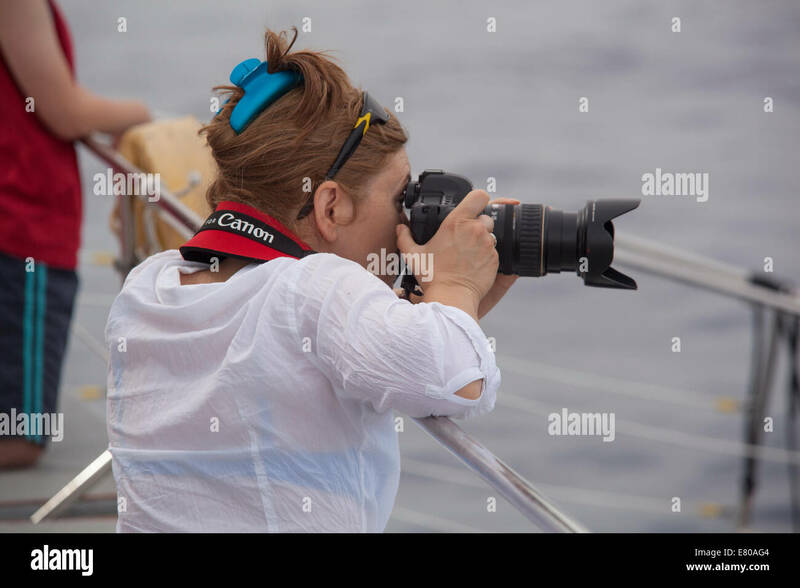 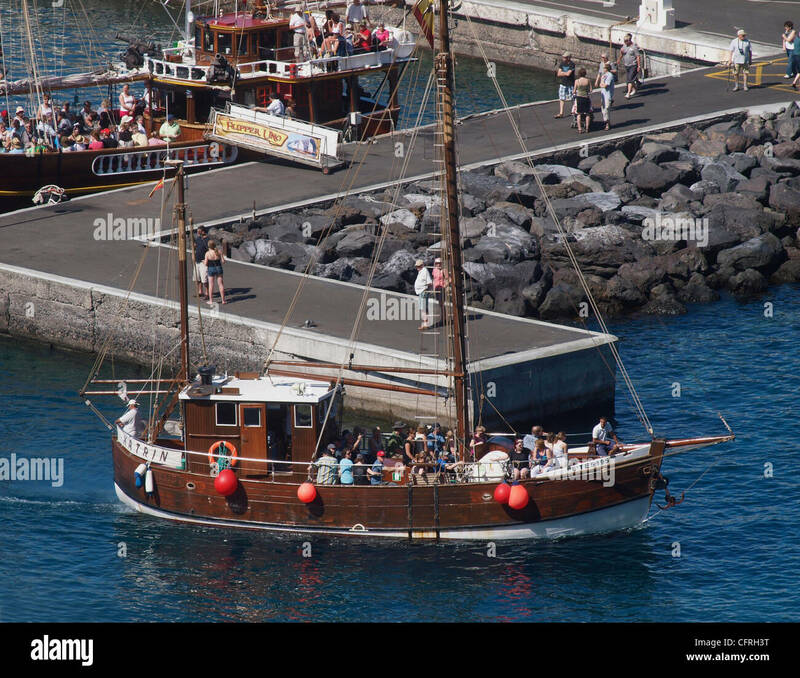 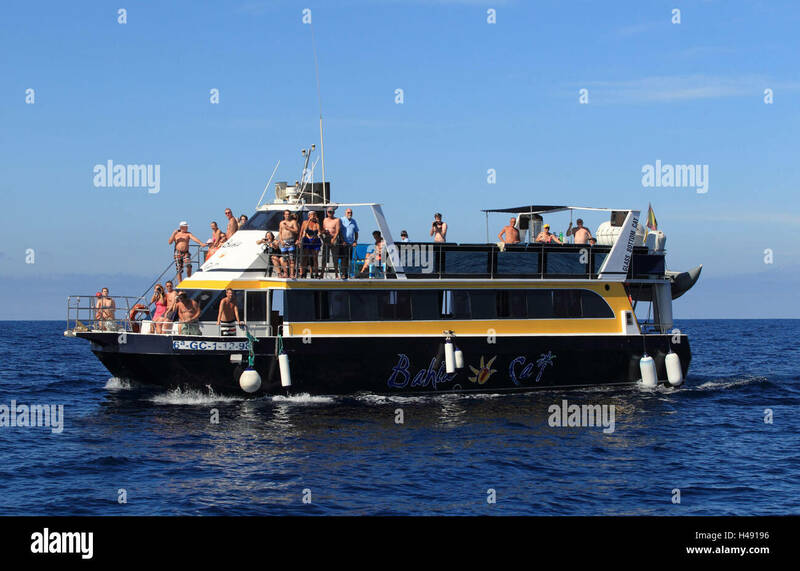 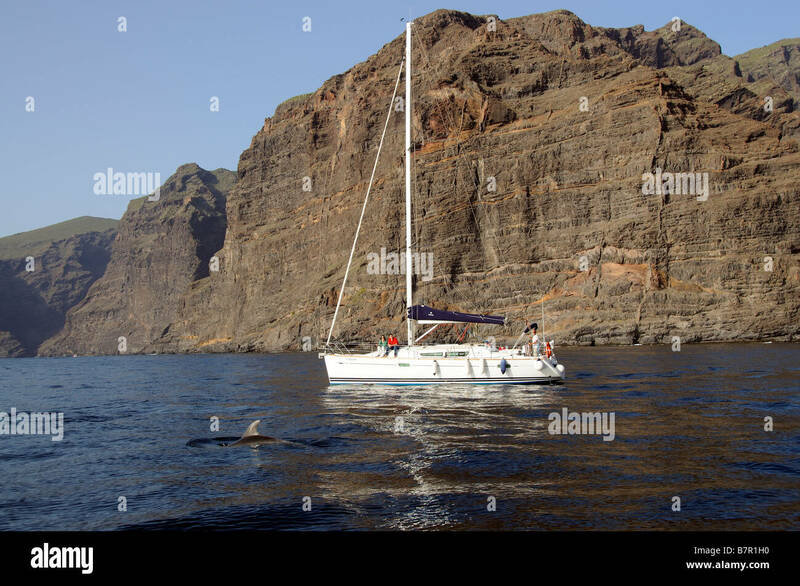 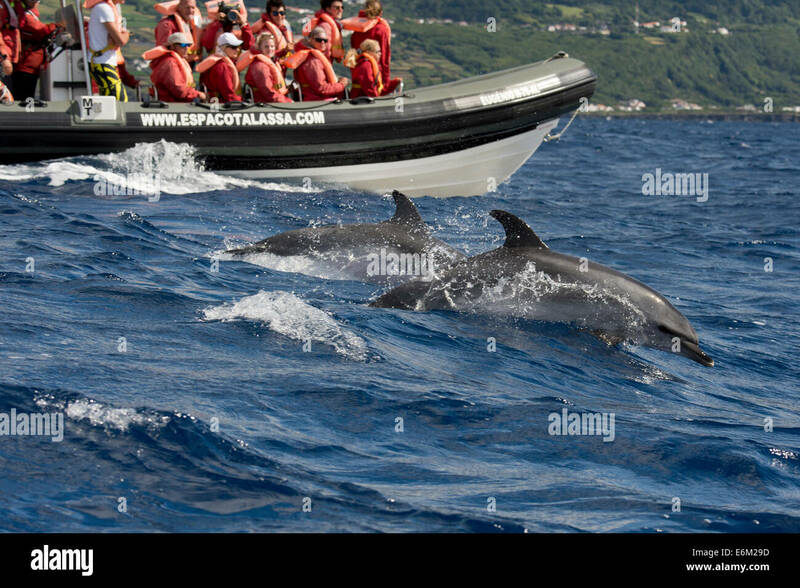 People watching dolphins surface in front of a catamaran off Funchal, Madeira, during a dolphin watching excursion. 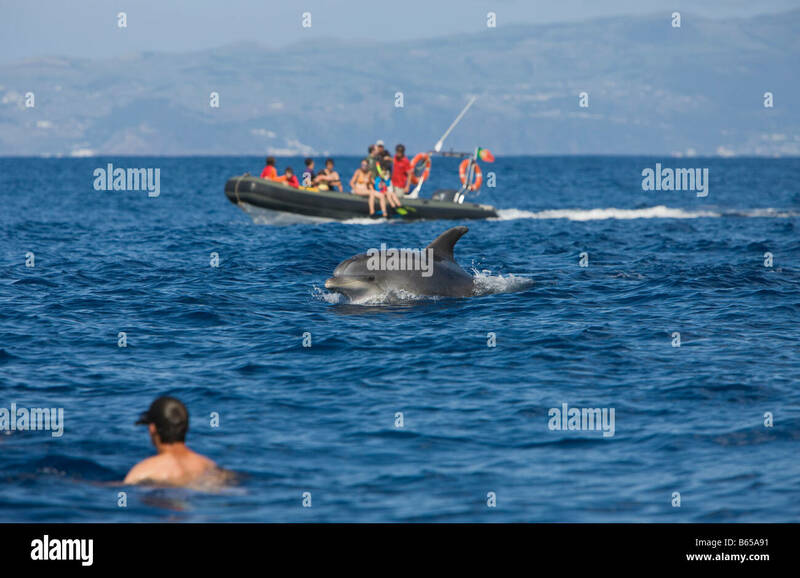 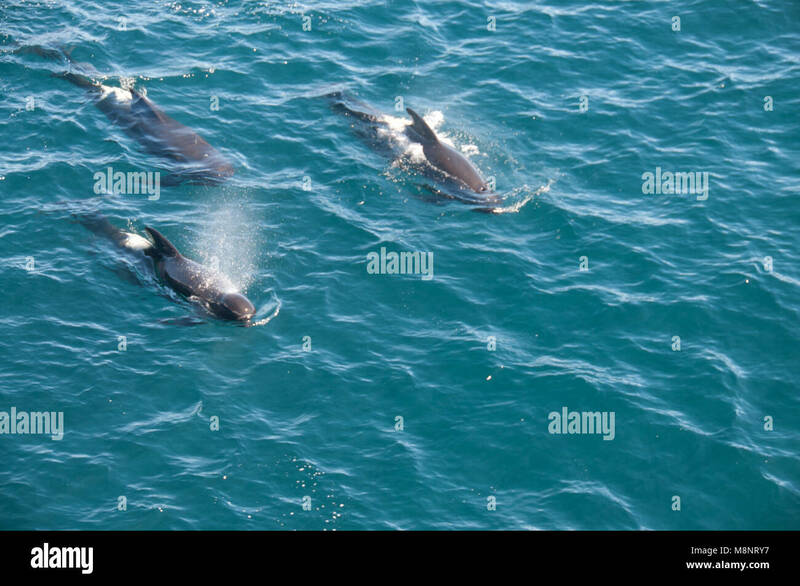 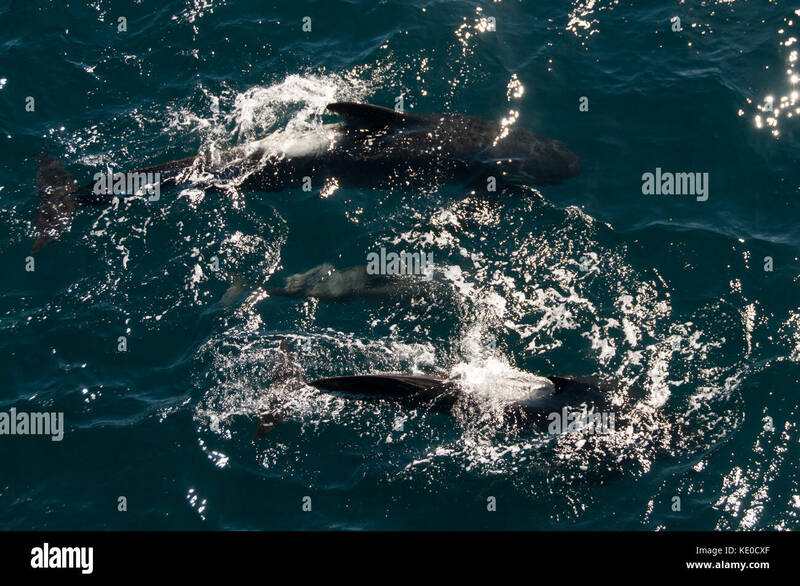 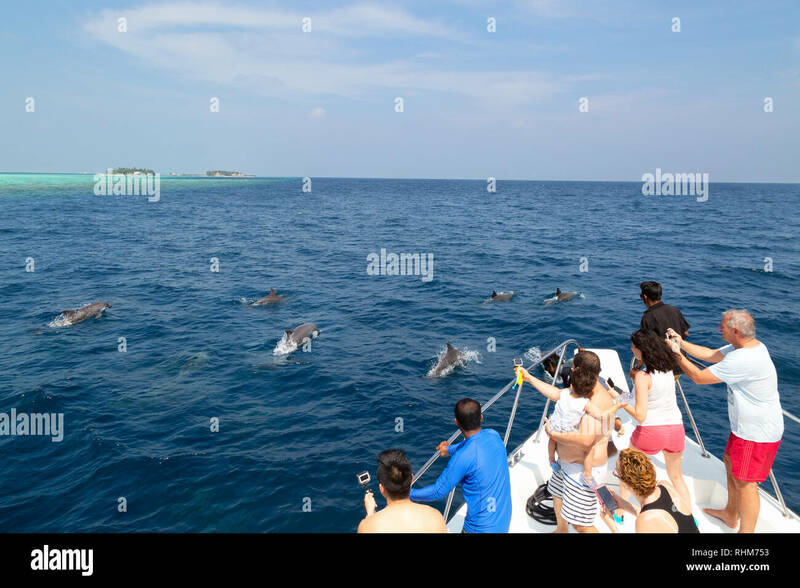 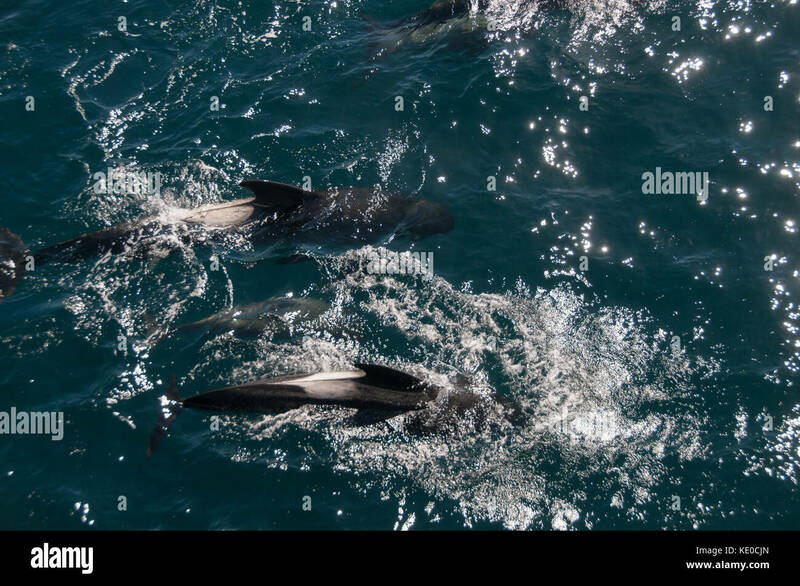 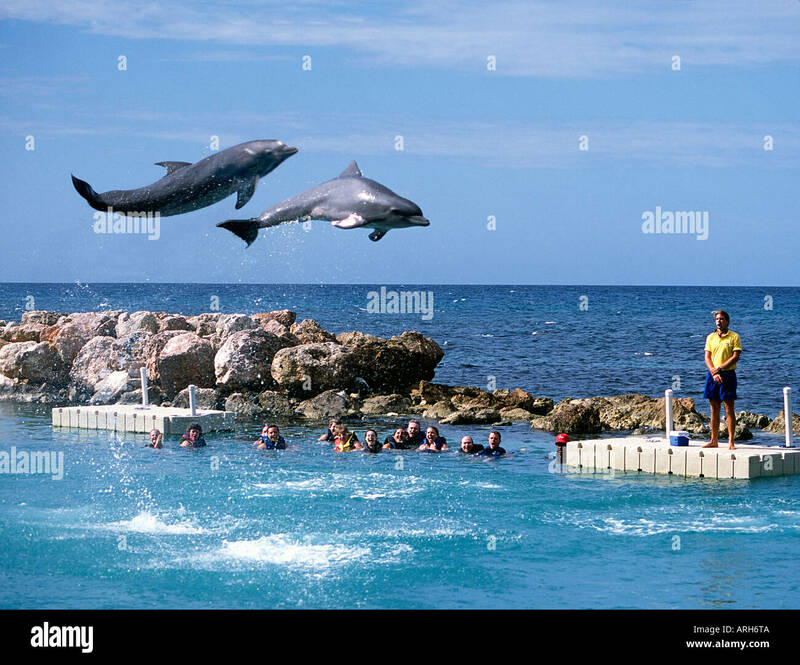 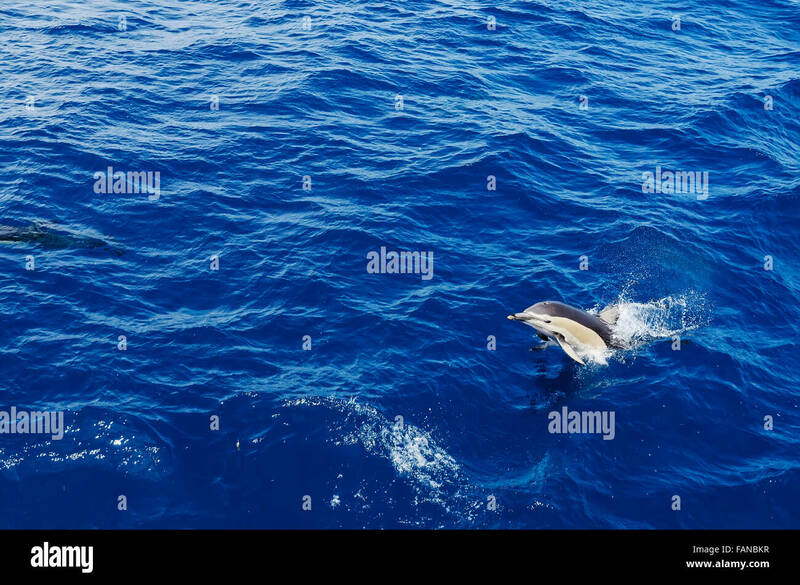 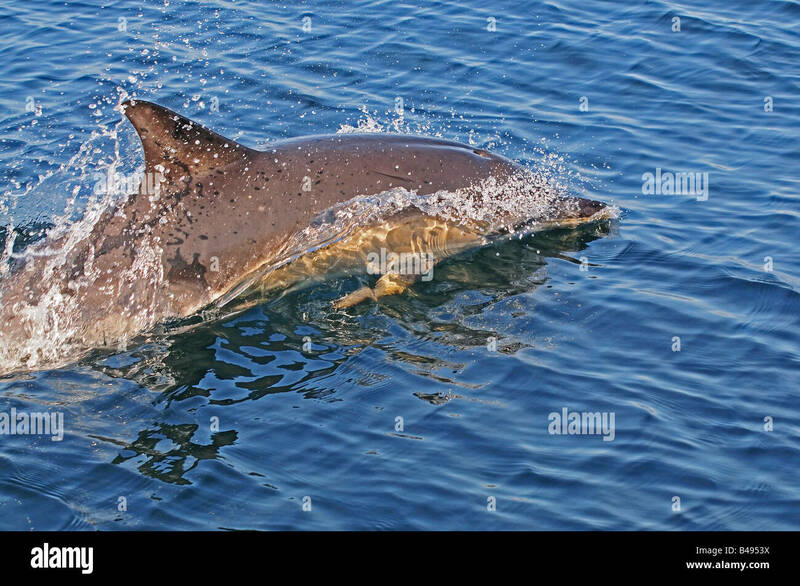 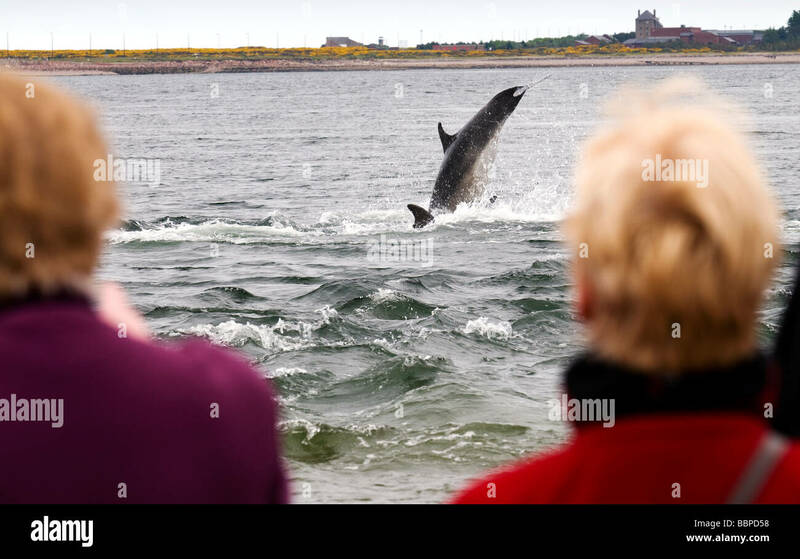 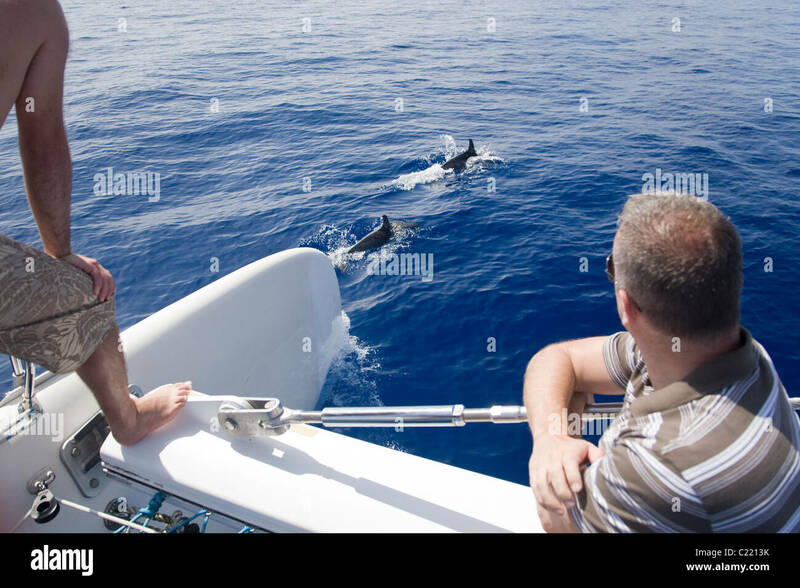 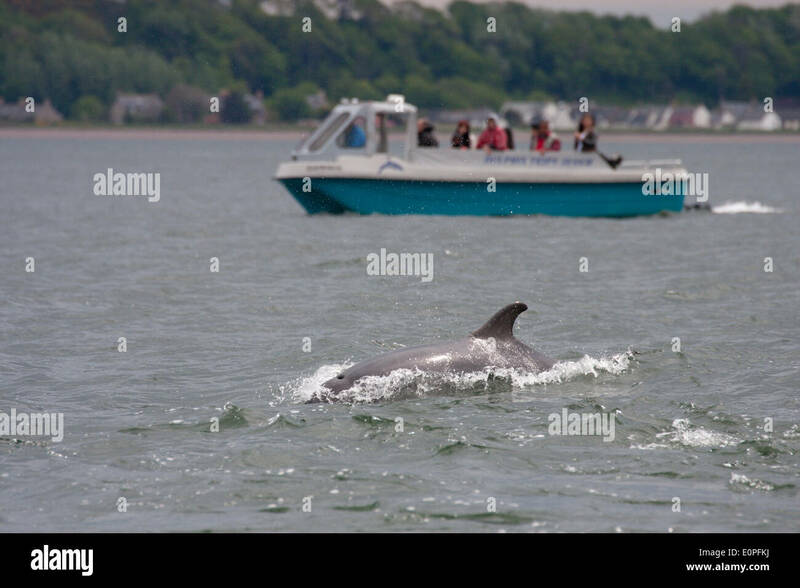 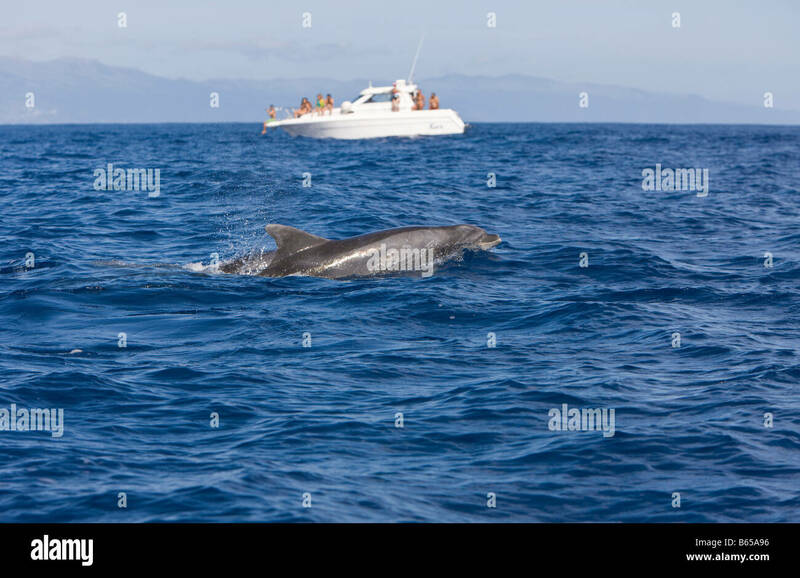 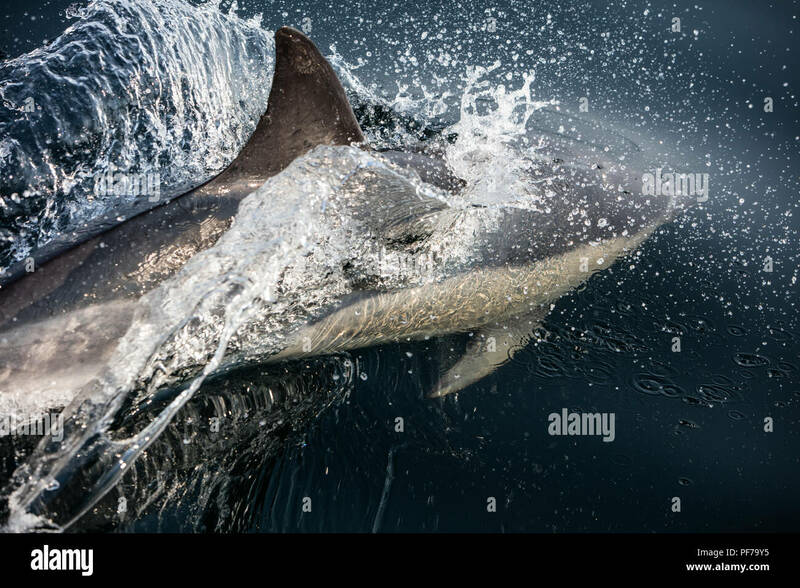 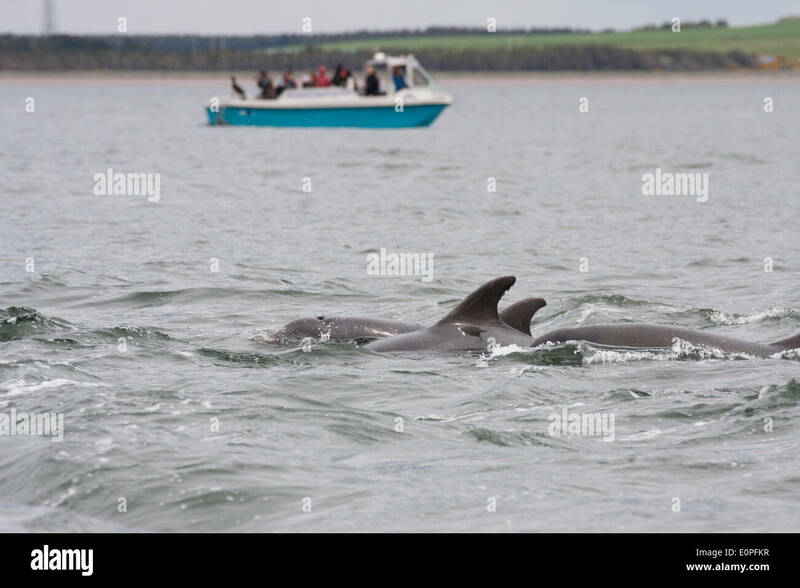 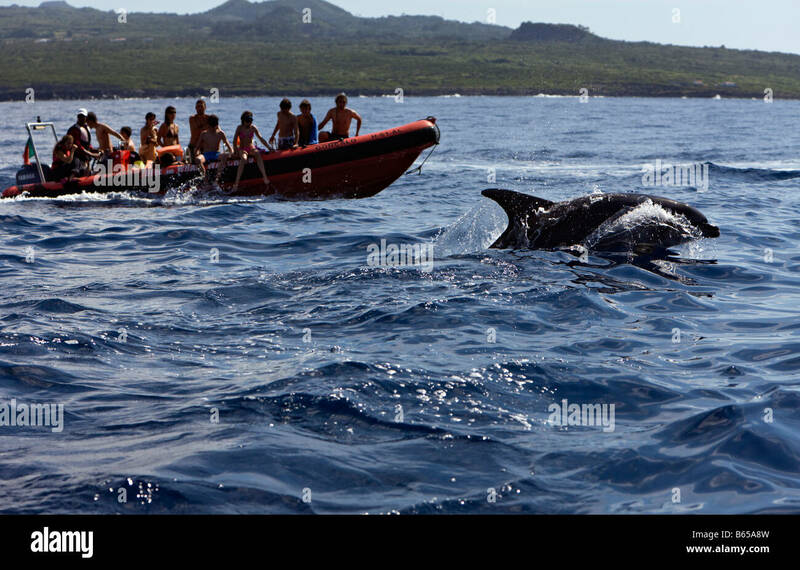 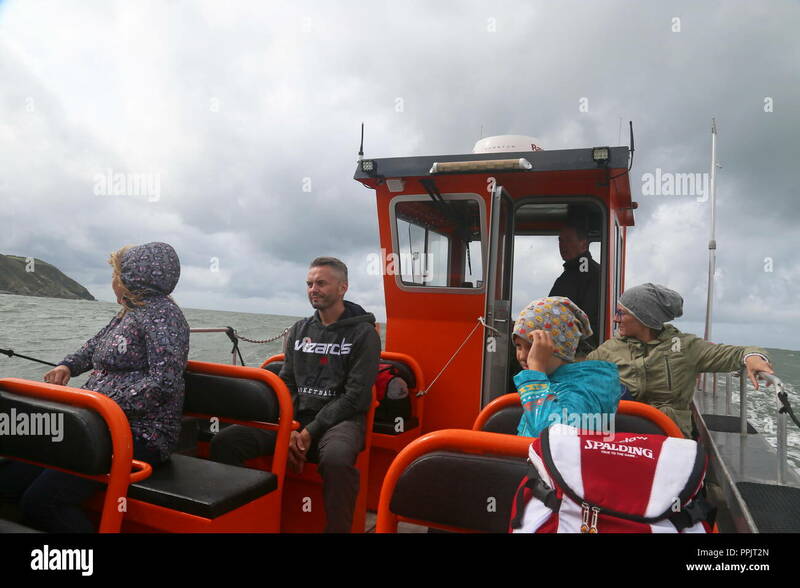 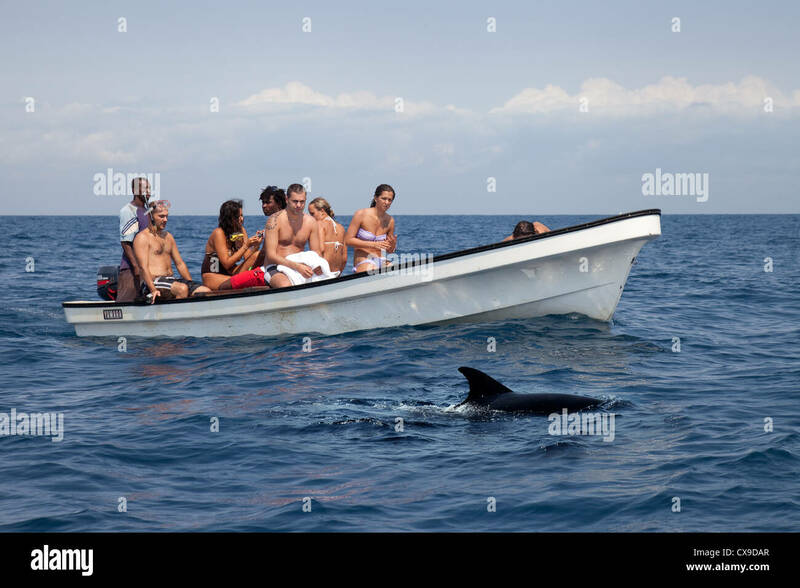 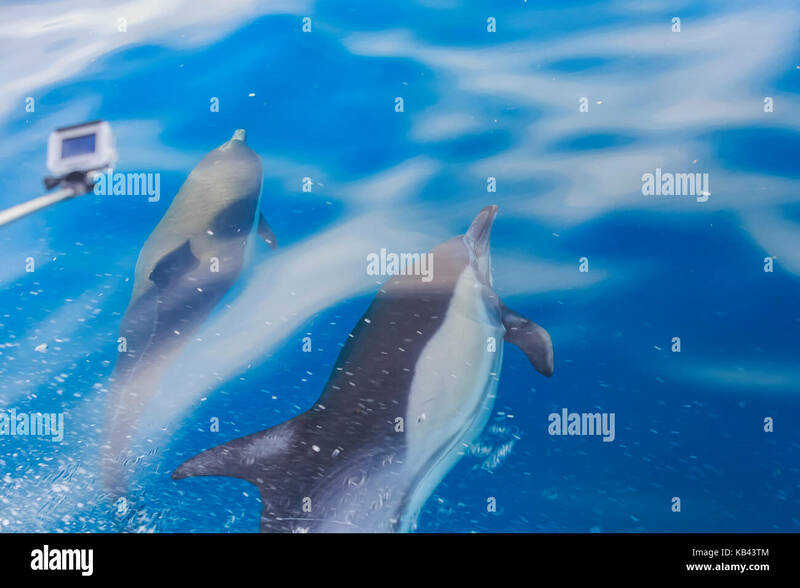 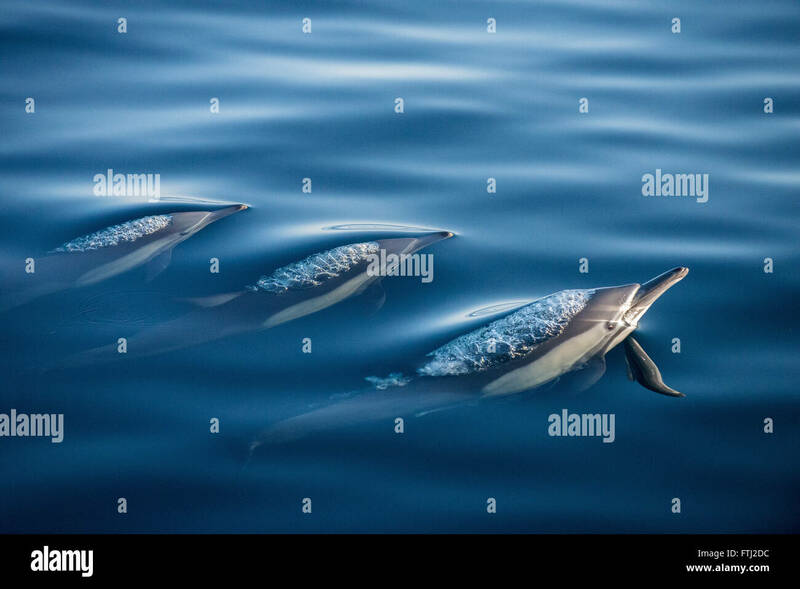 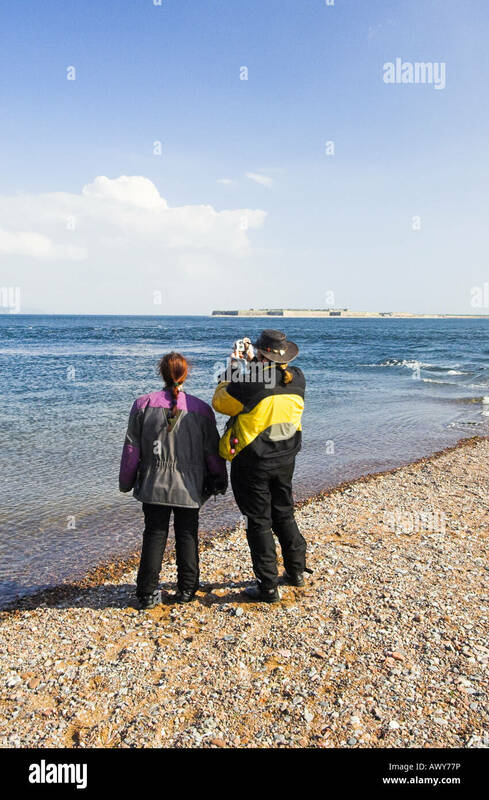 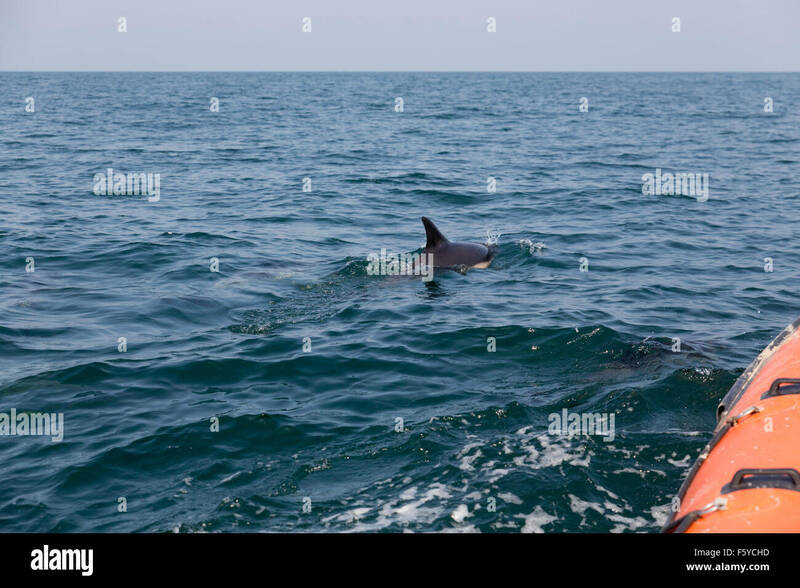 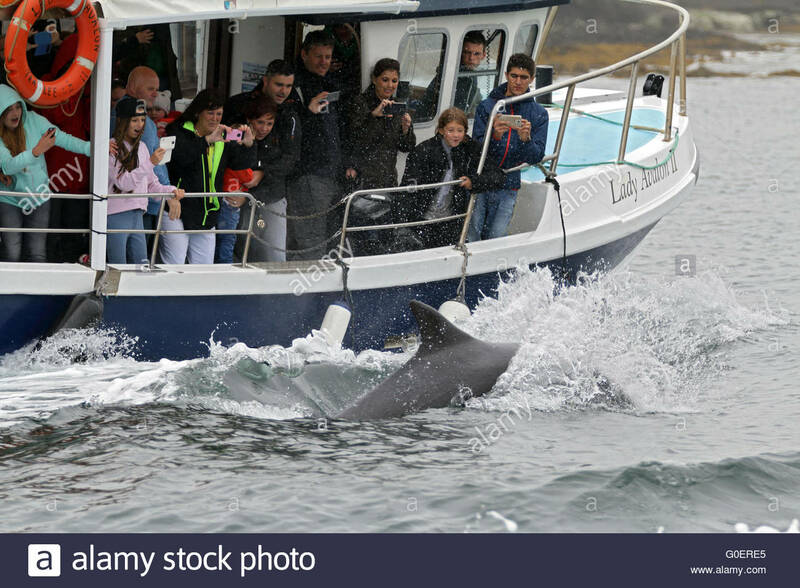 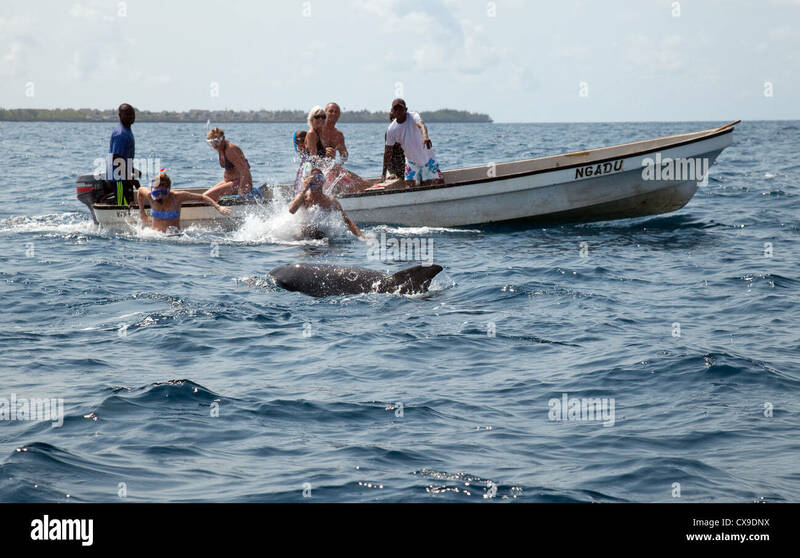 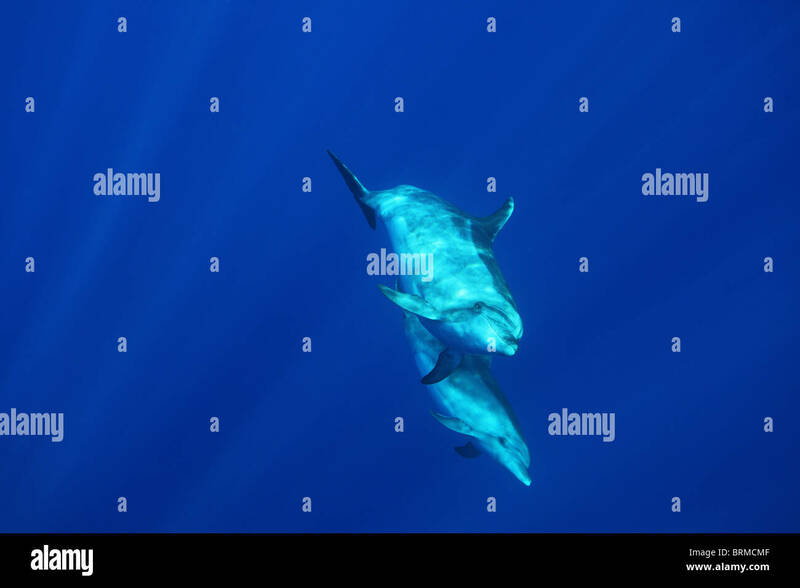 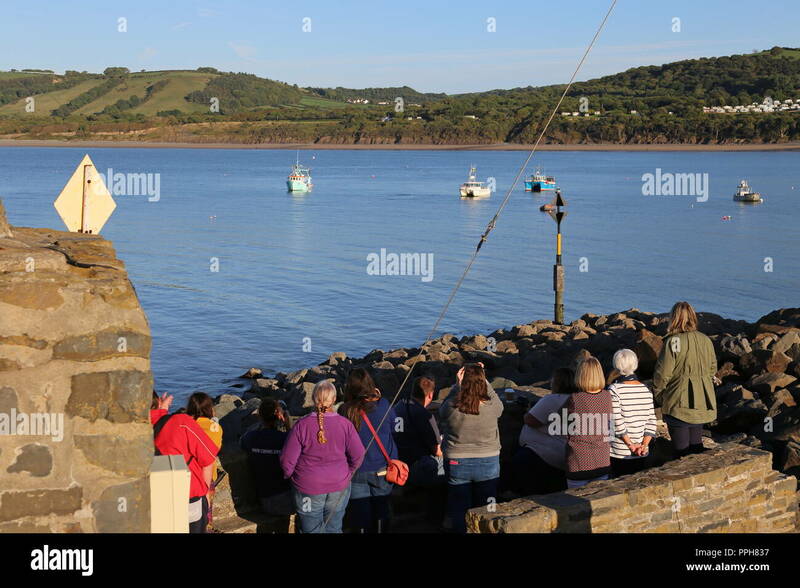 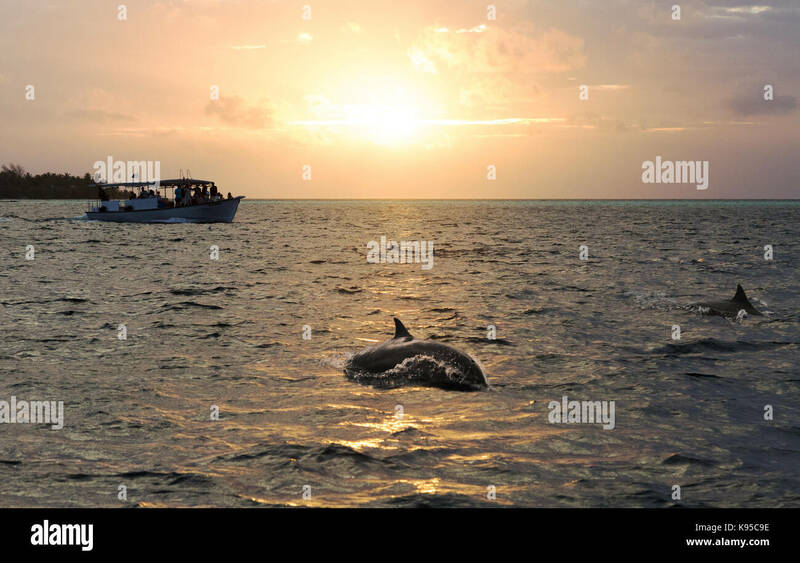 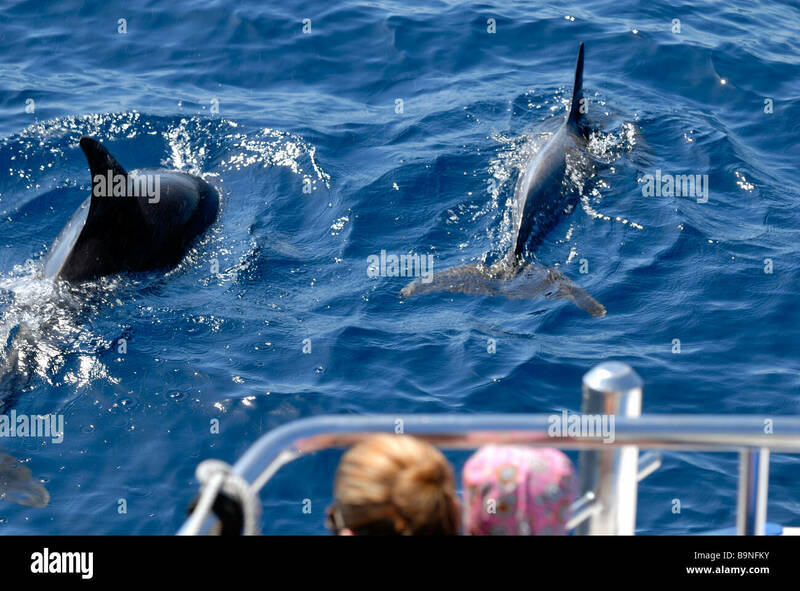 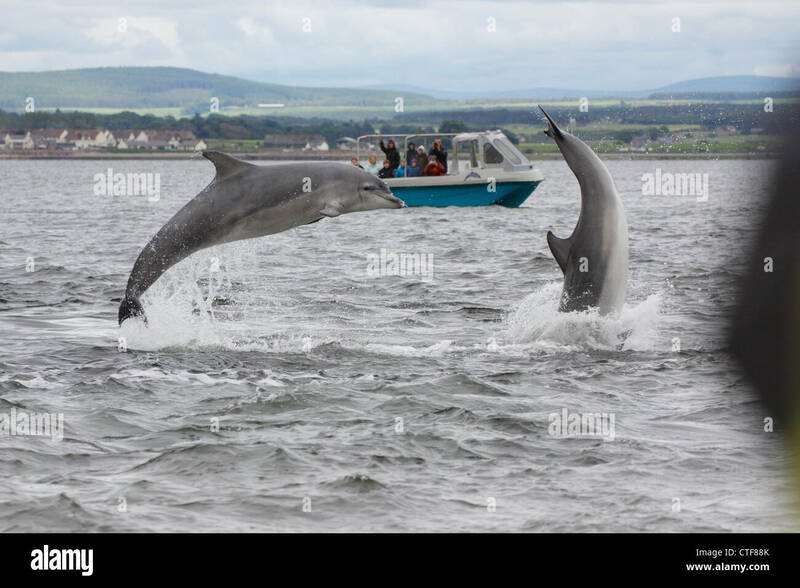 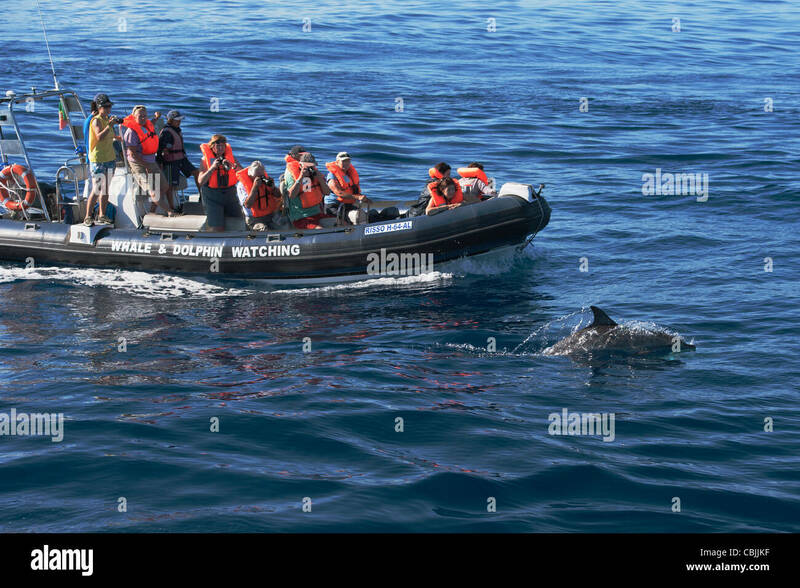 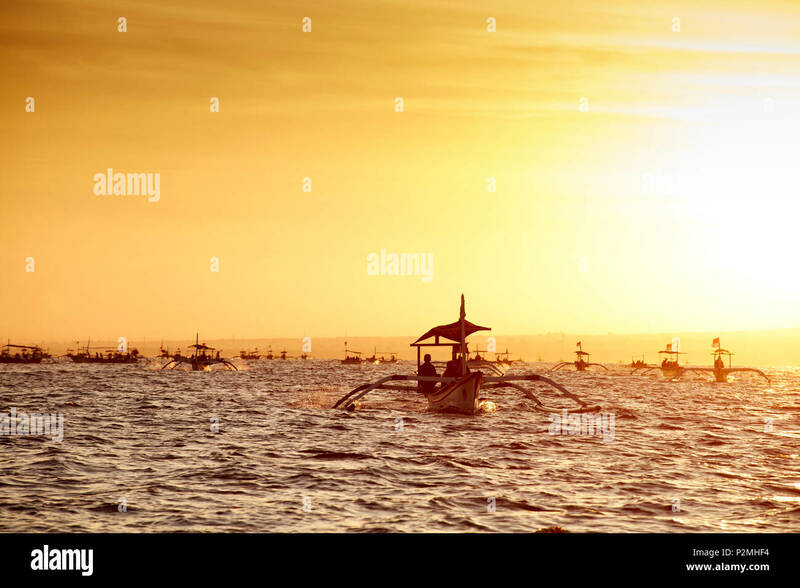 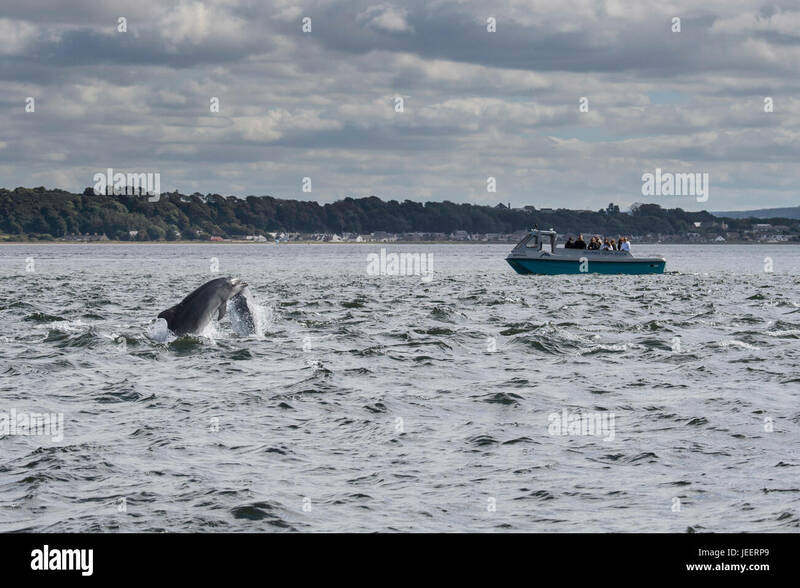 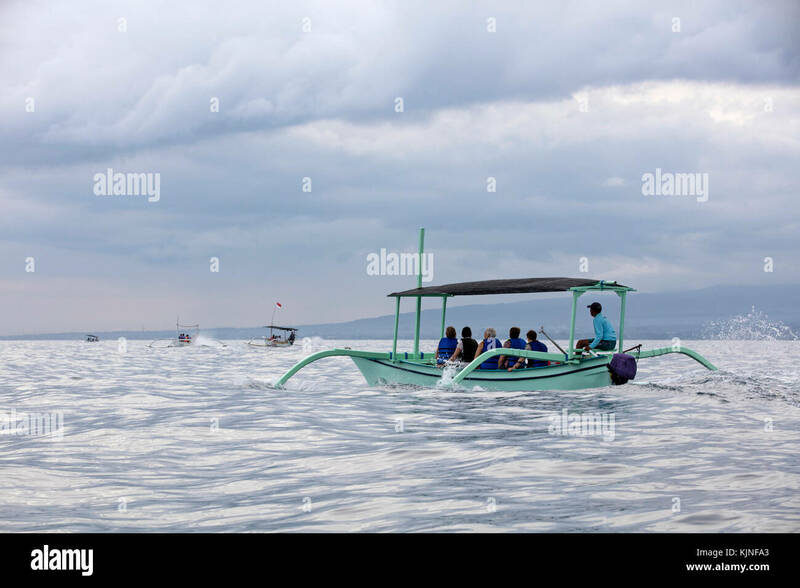 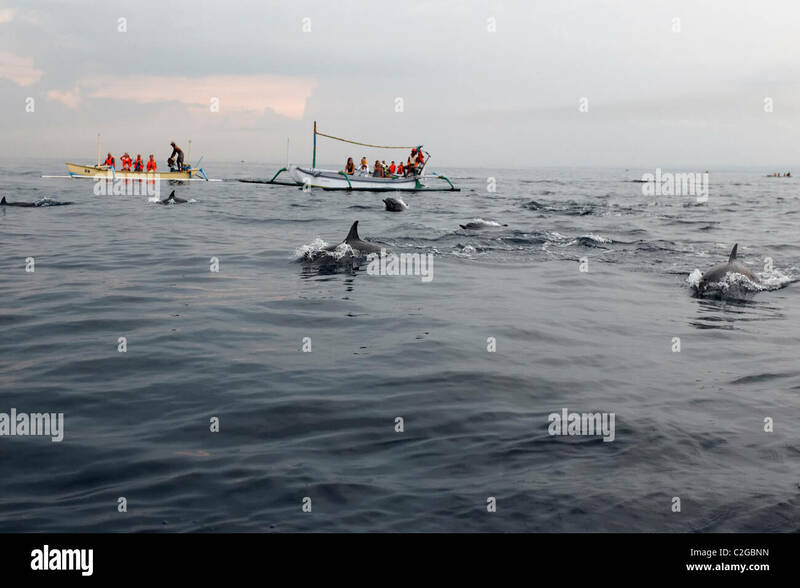 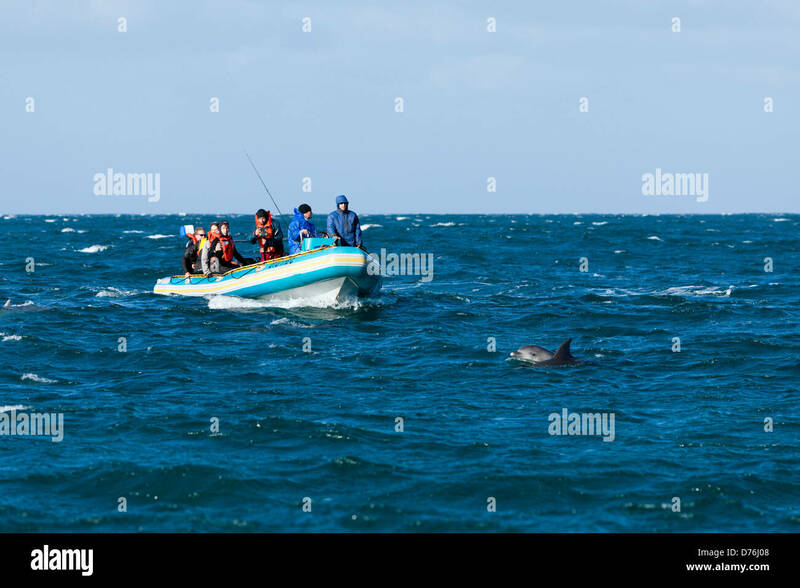 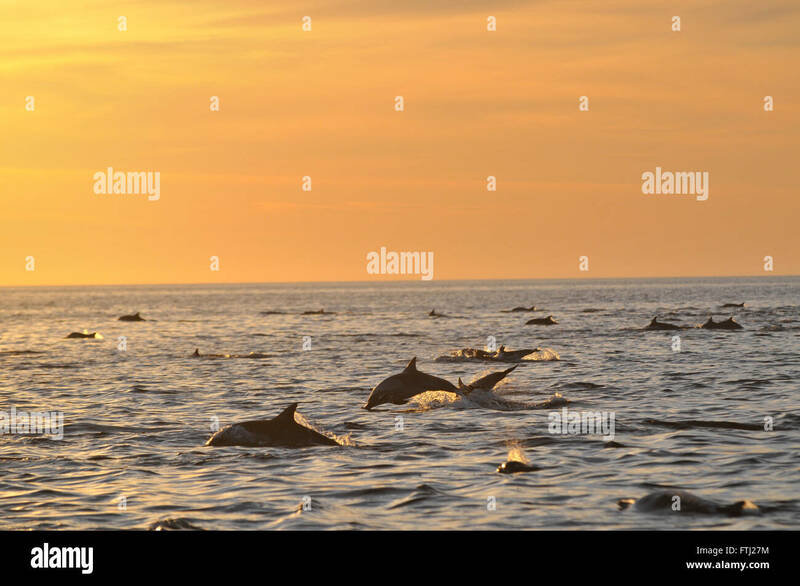 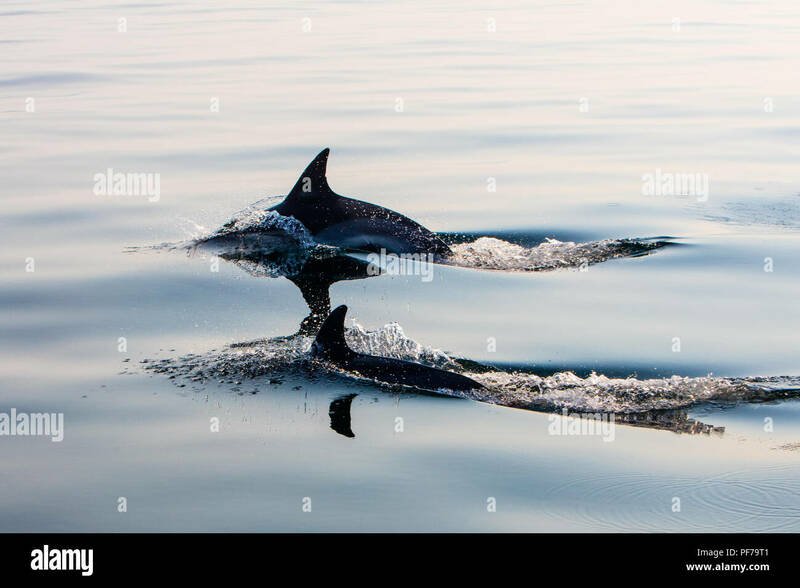 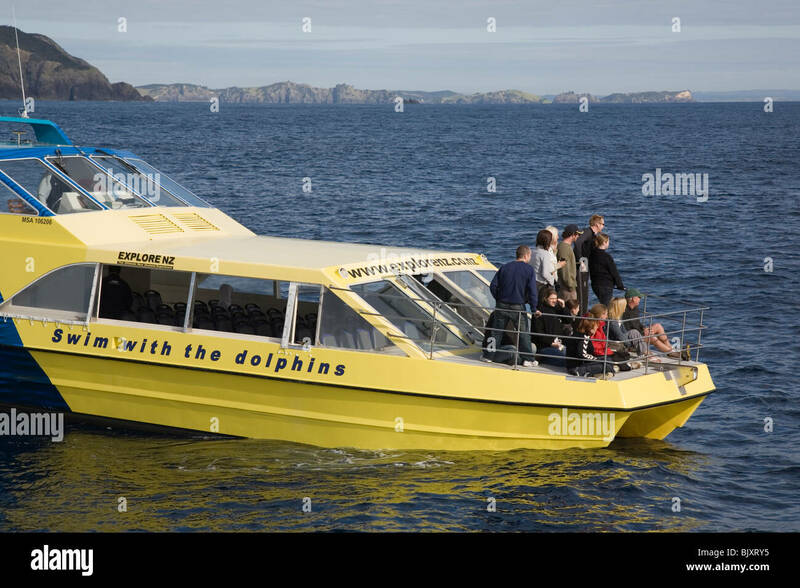 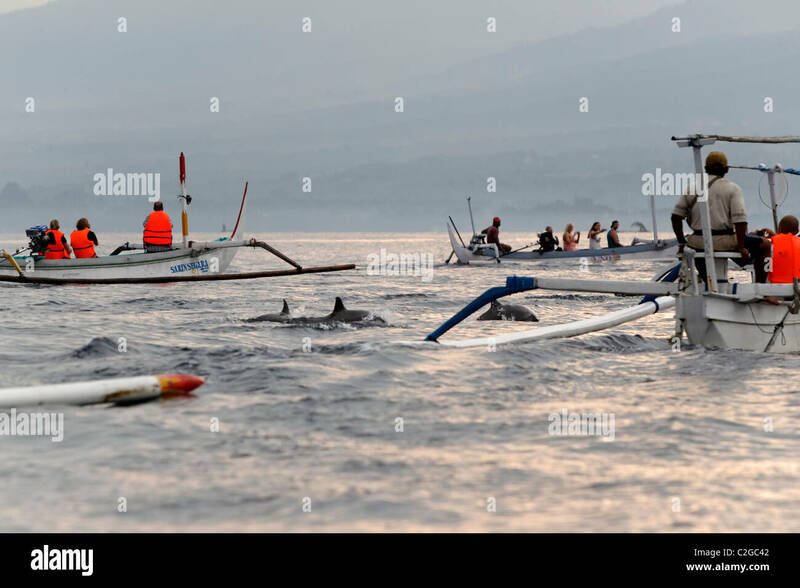 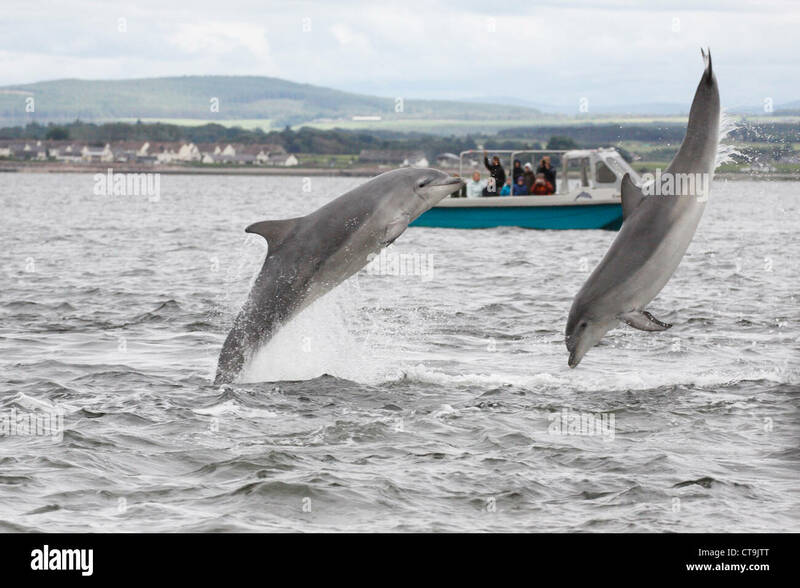 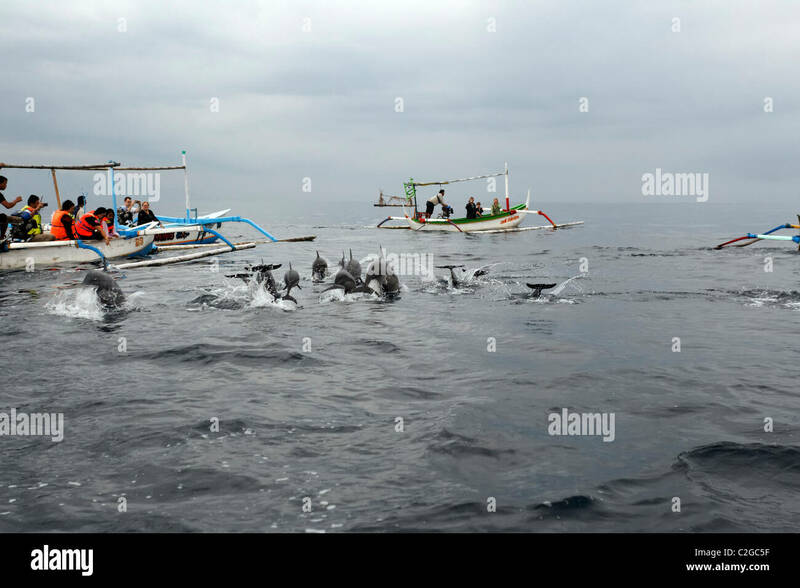 Tourists watch an Atlantic Spotted Dolphin (Stenella frontalis) during a Whale-Watching trip. 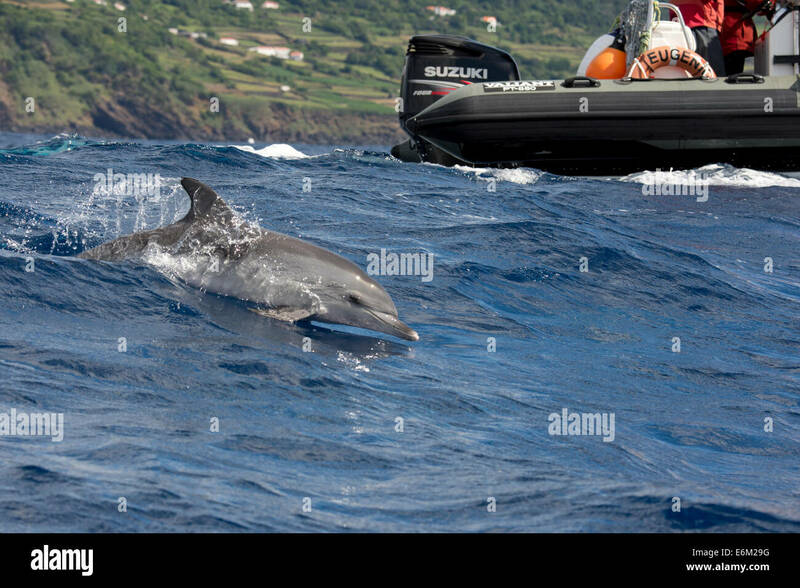 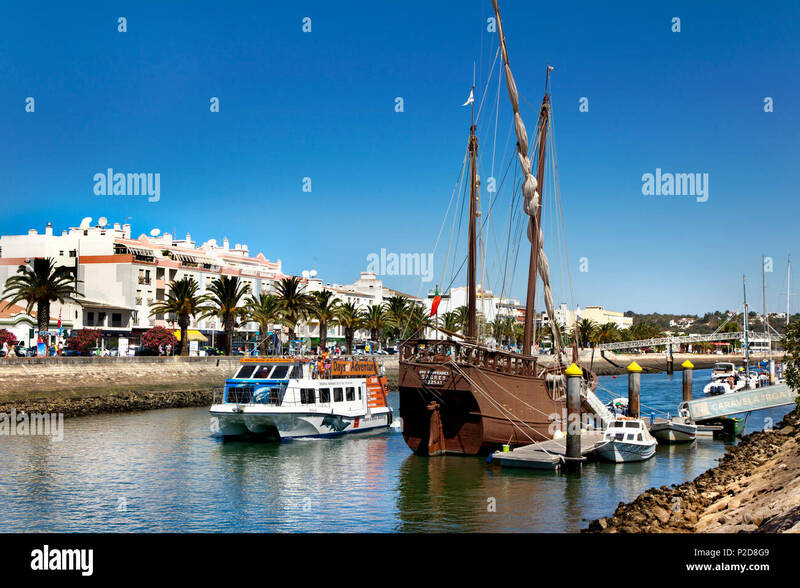 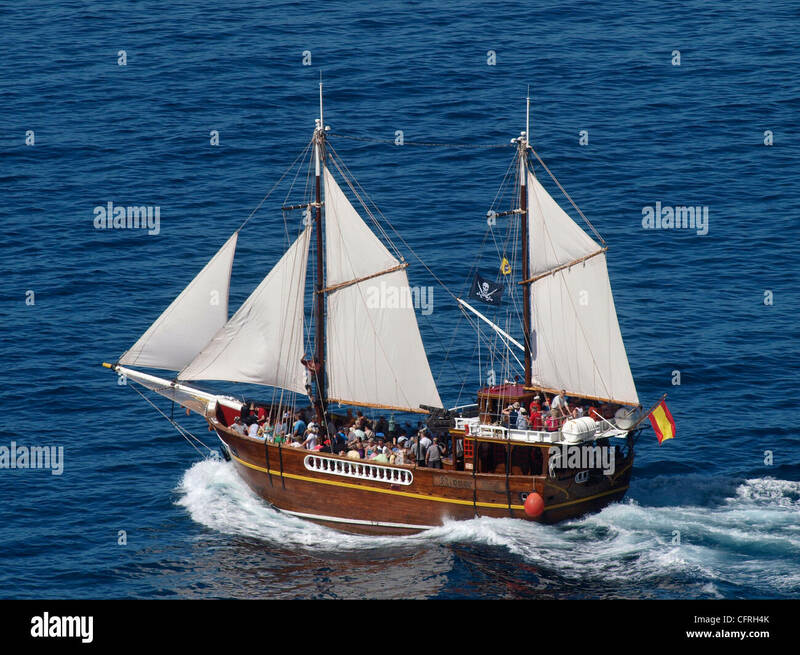 Azores, Atlantic Ocean. 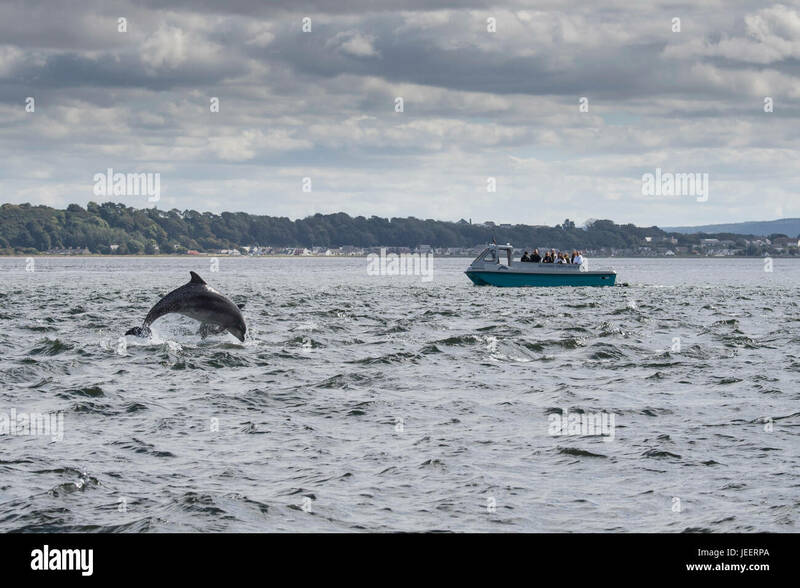 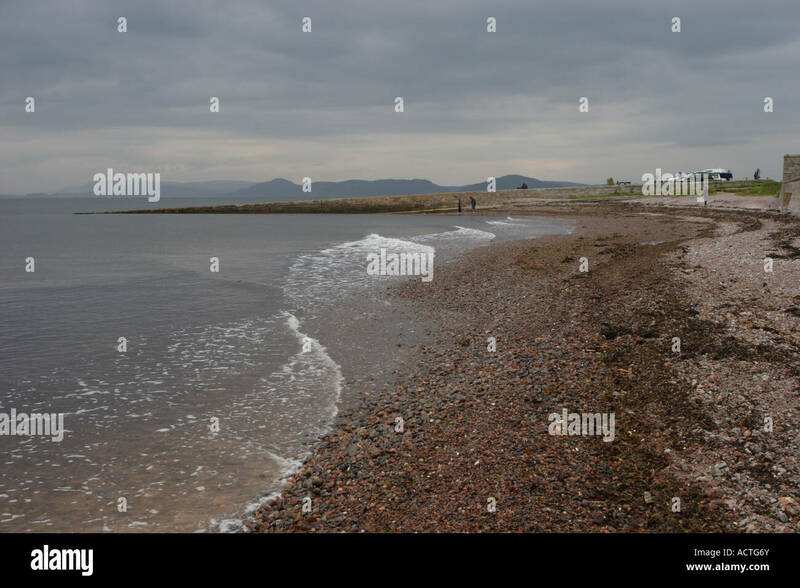 Chanonry Point on the Black Isle, Scotland. 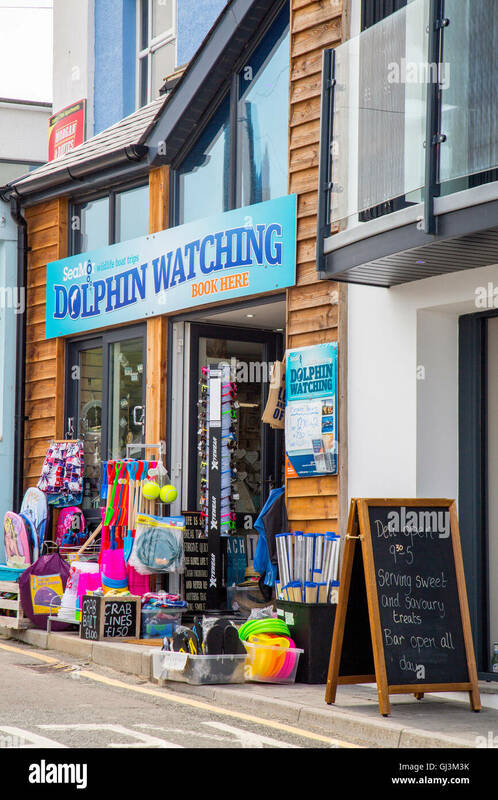 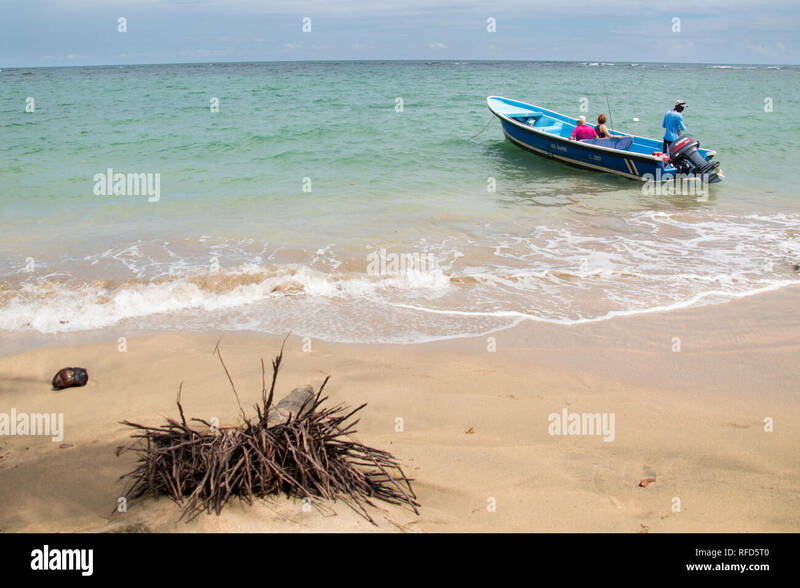 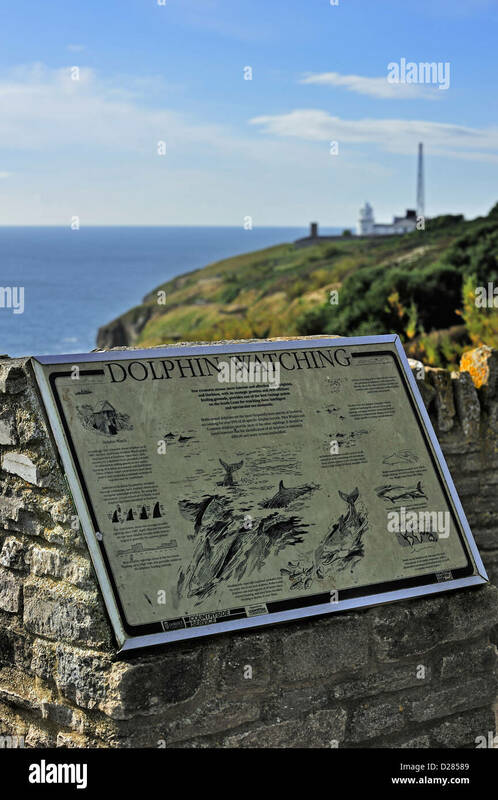 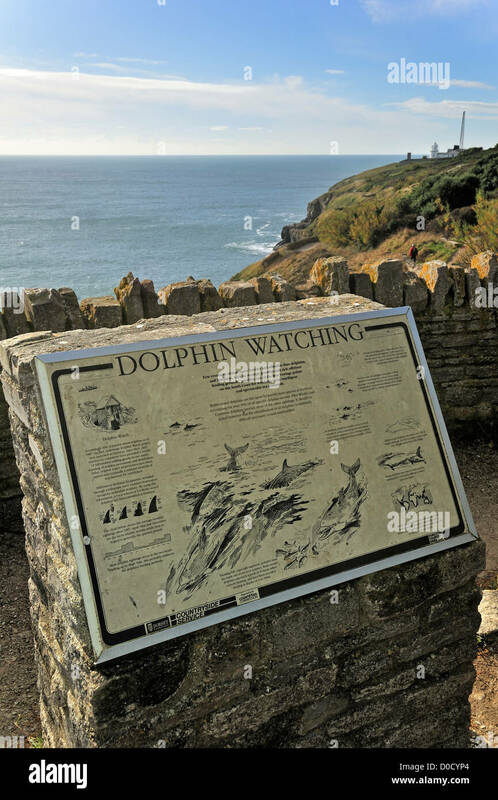 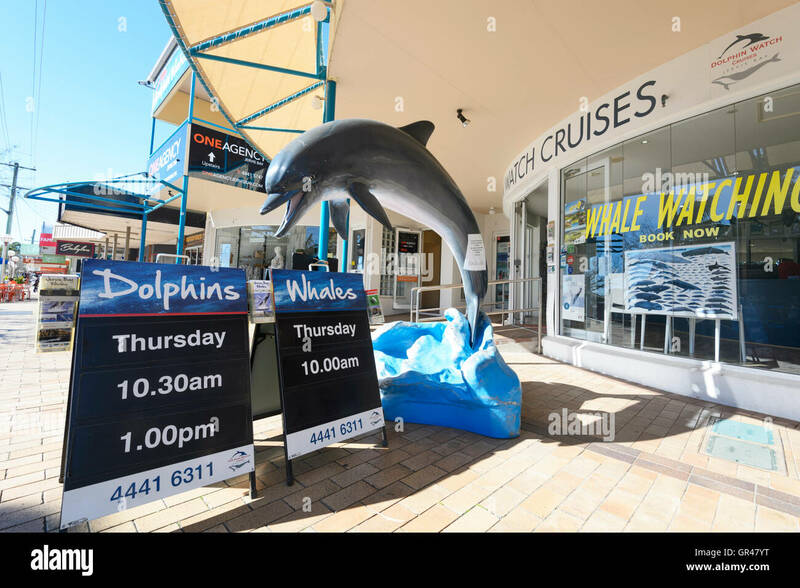 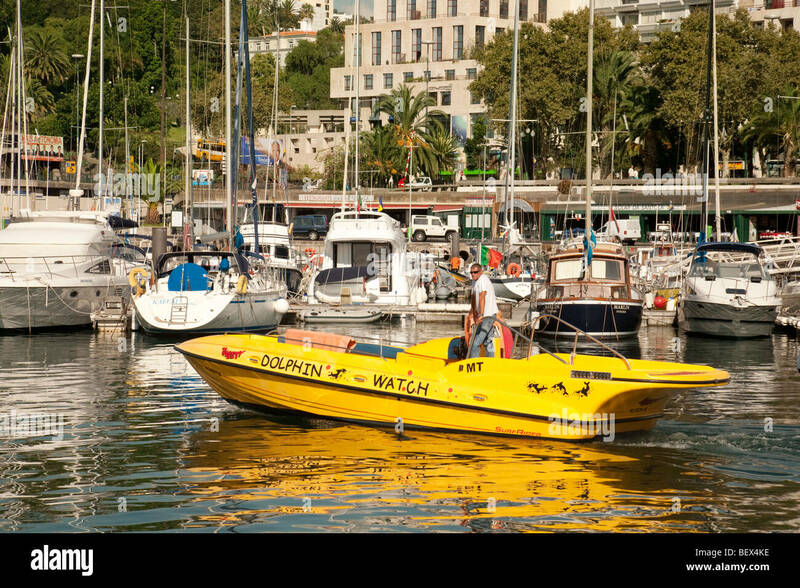 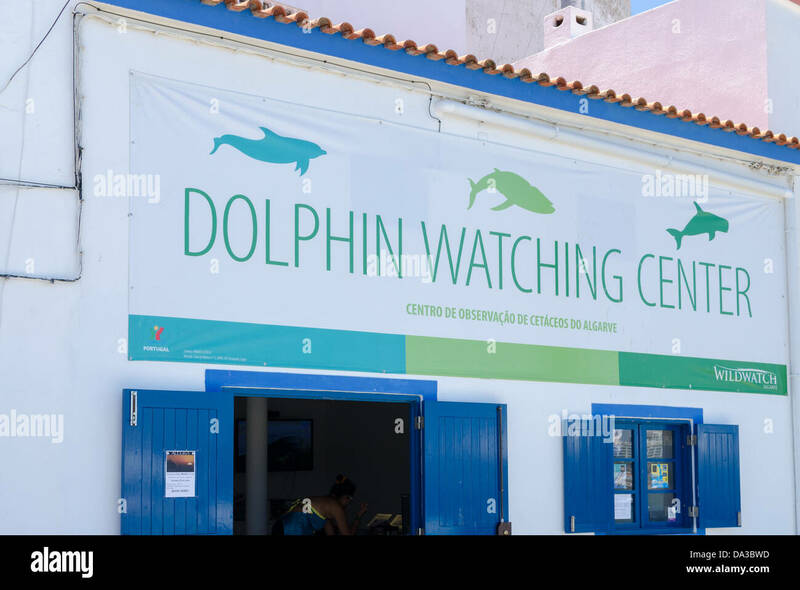 A popular spot for those hoping to indulge in a bit of dolphin watching. 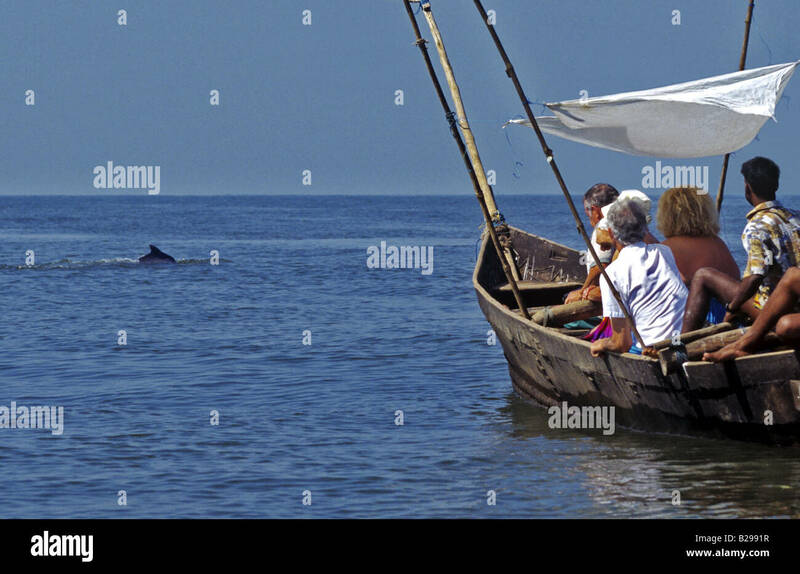 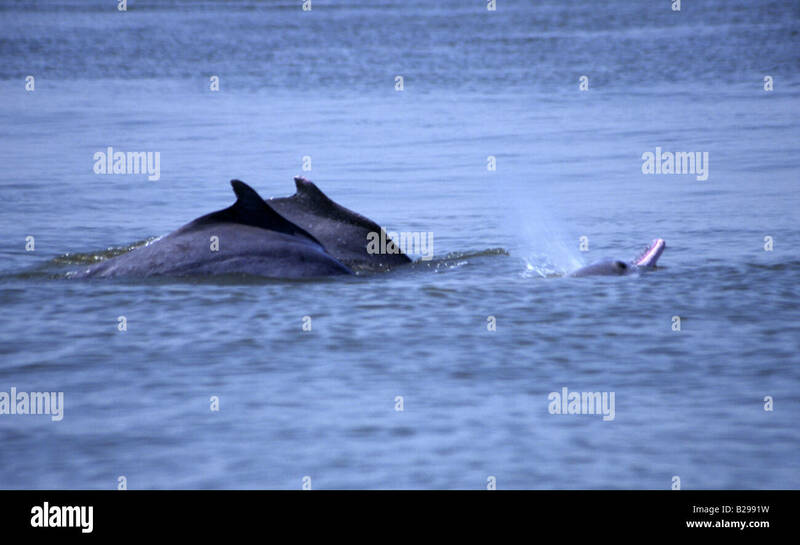 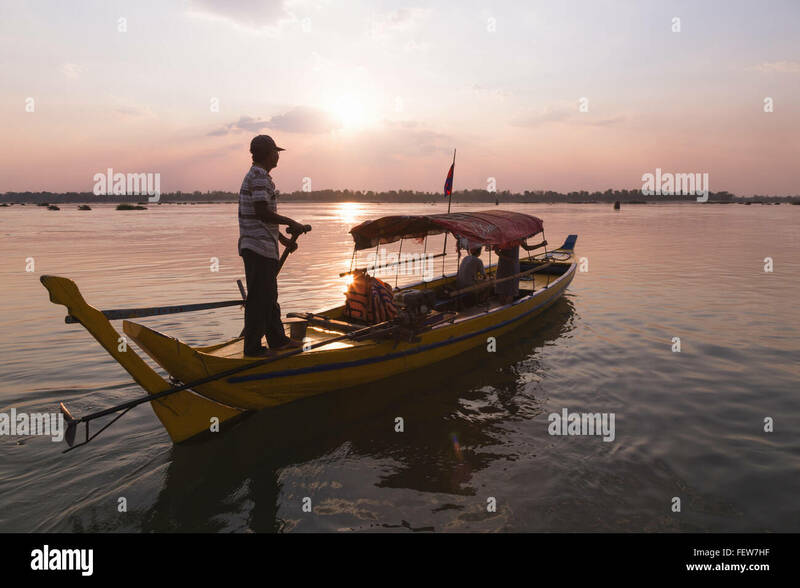 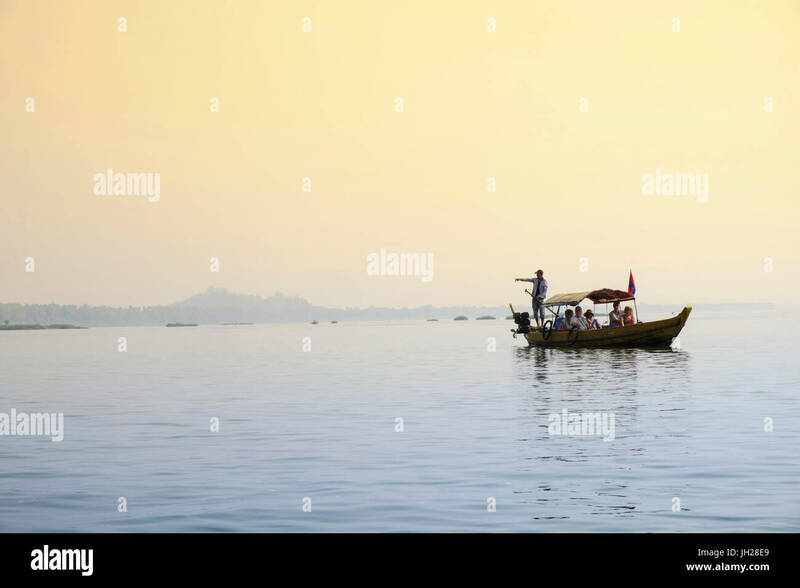 Fresh water dolphin watching on the Mekong, Cambodia. 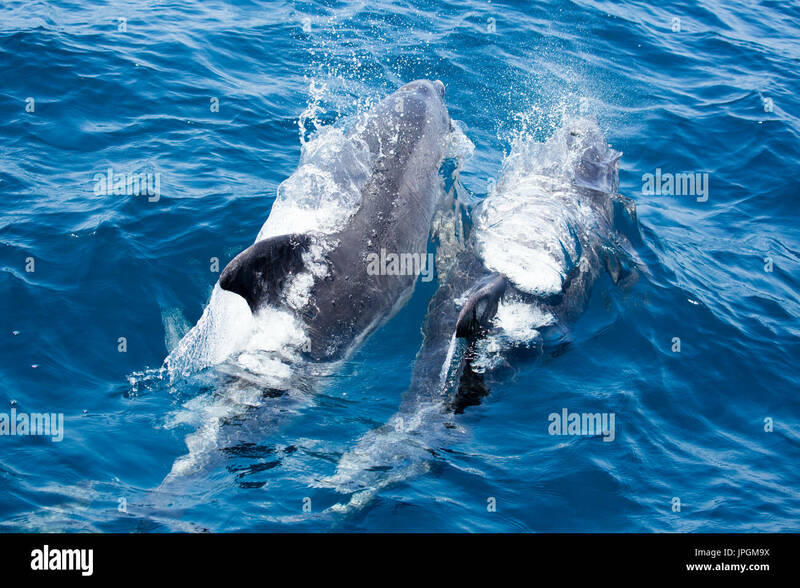 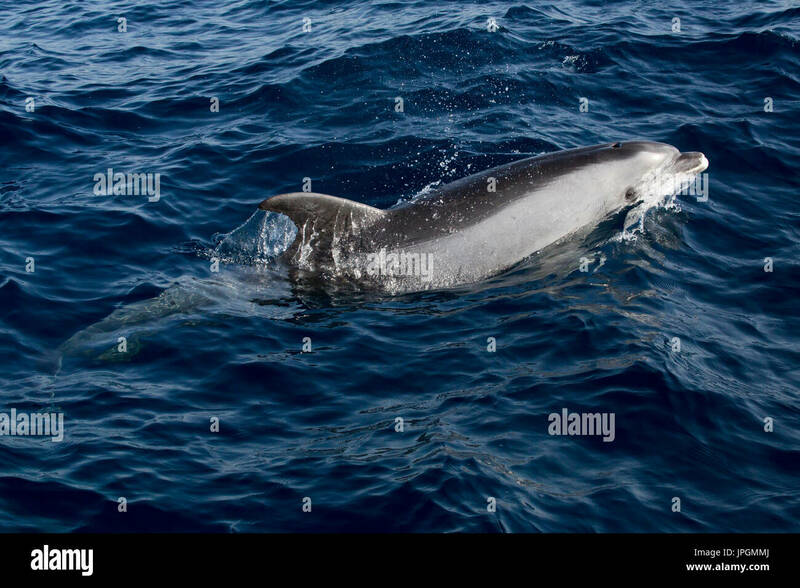 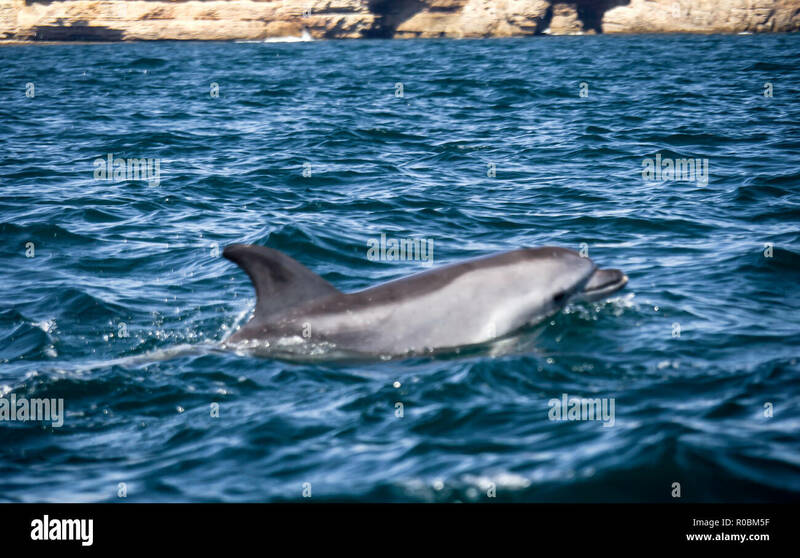 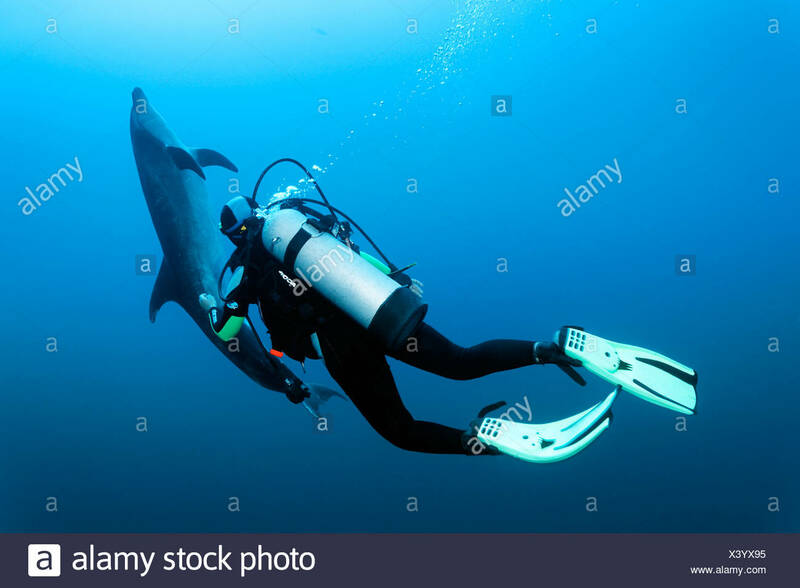 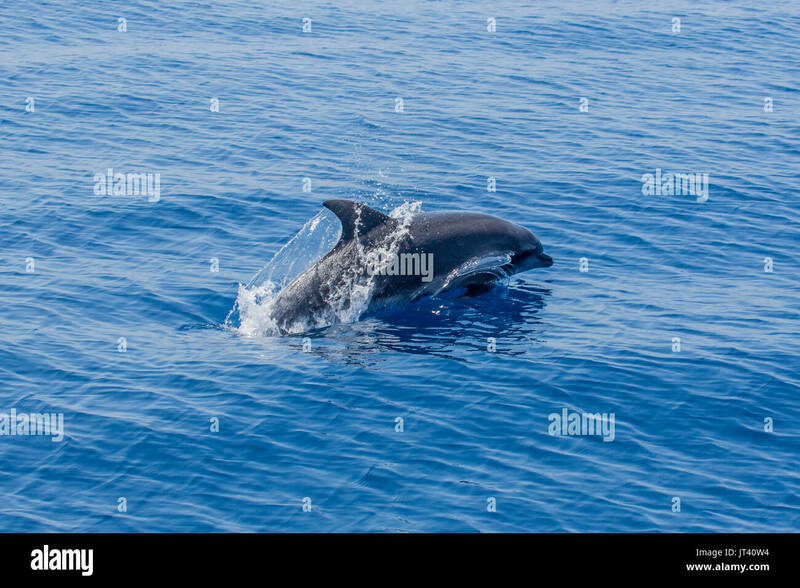 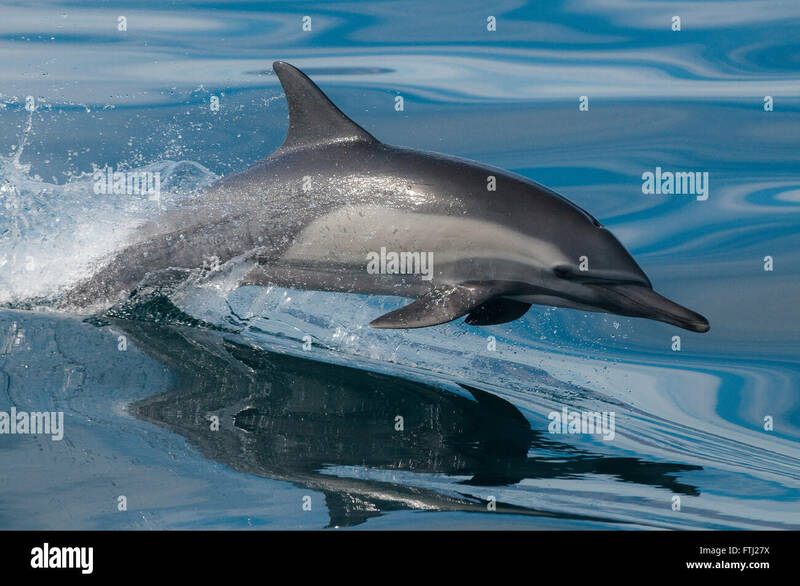 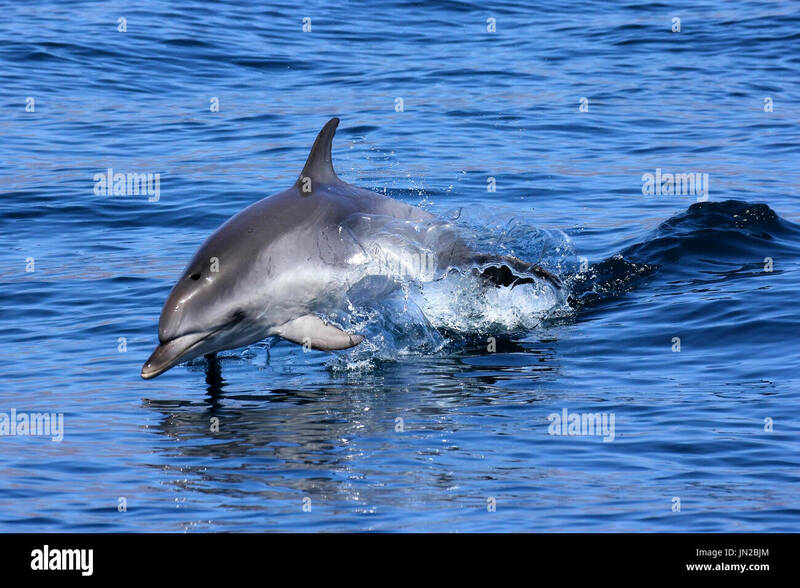 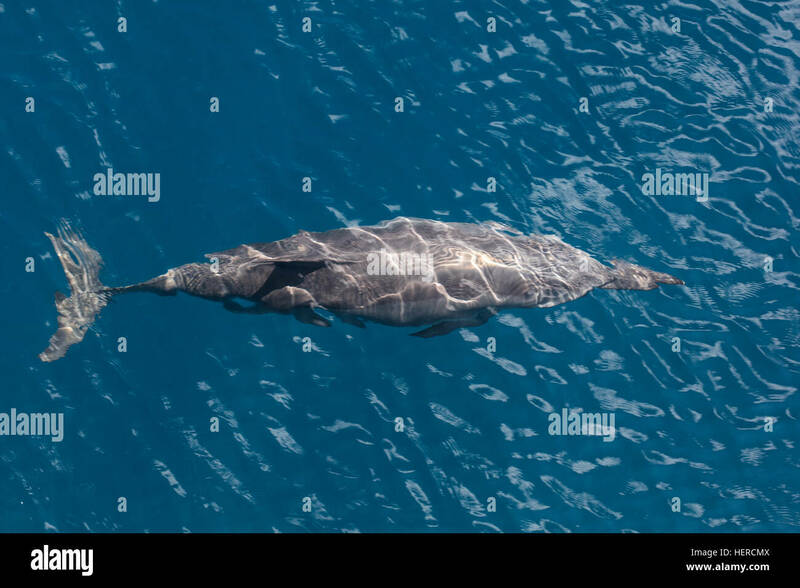 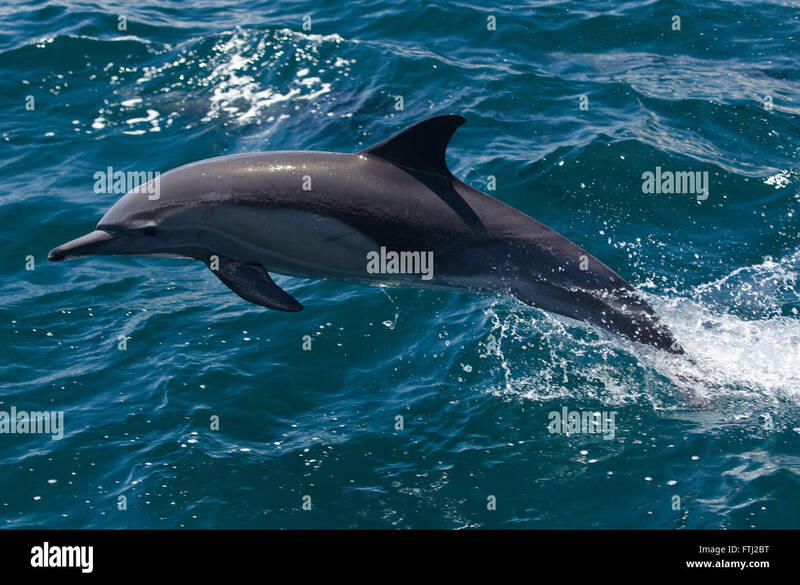 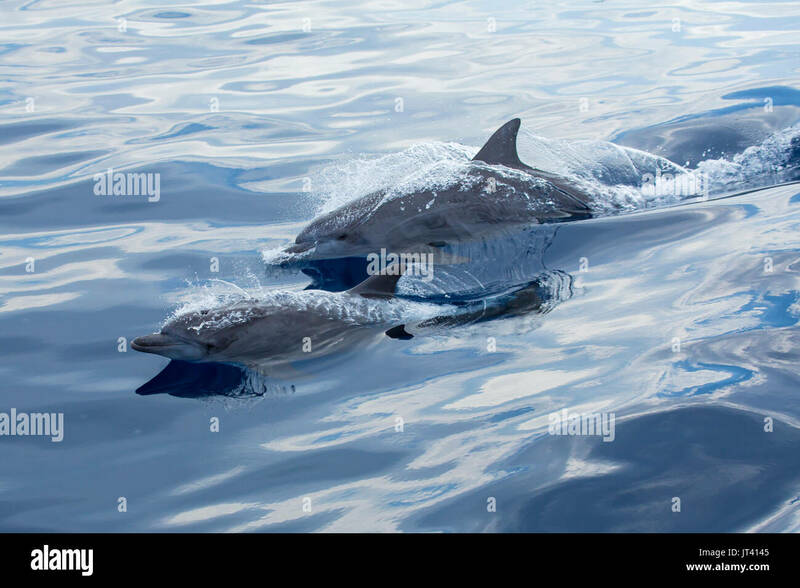 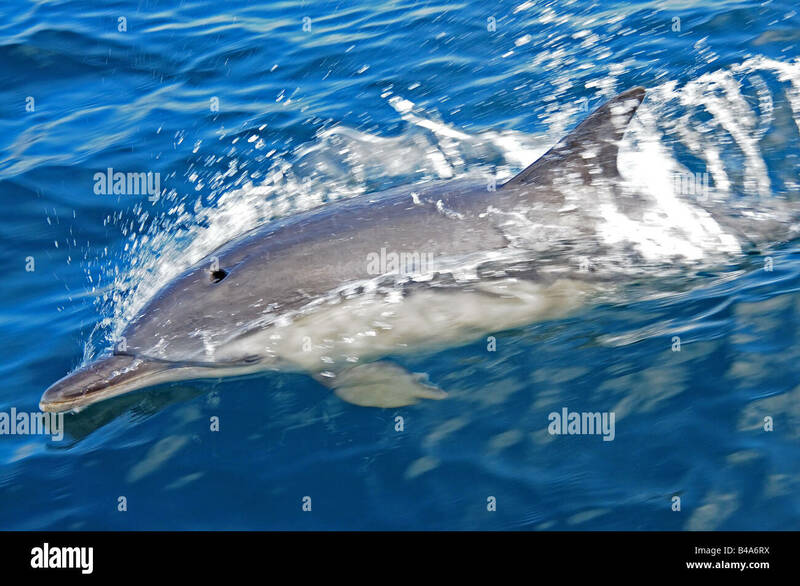 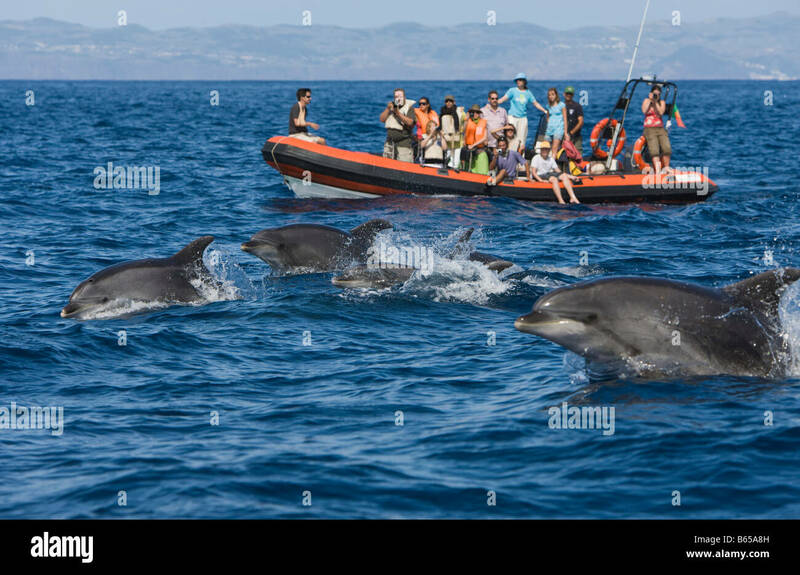 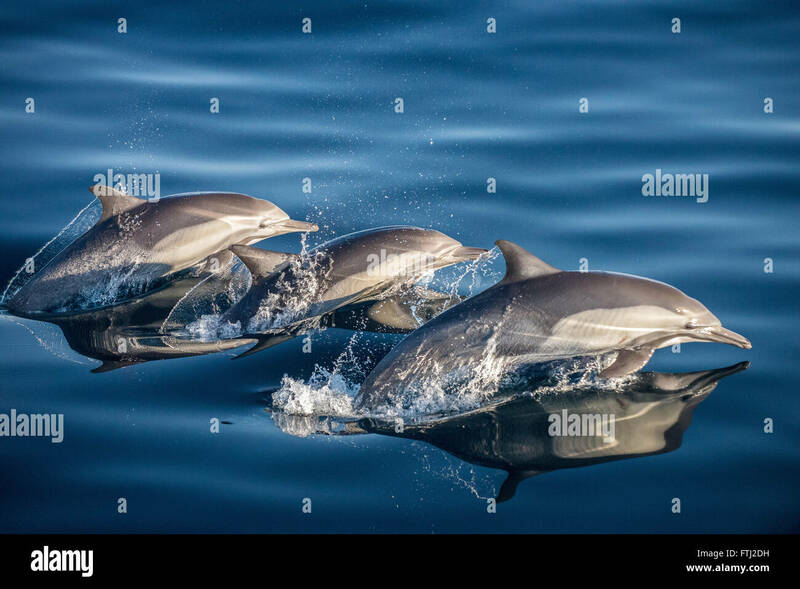 Dolphin watching tour in Sagres, Portugal. 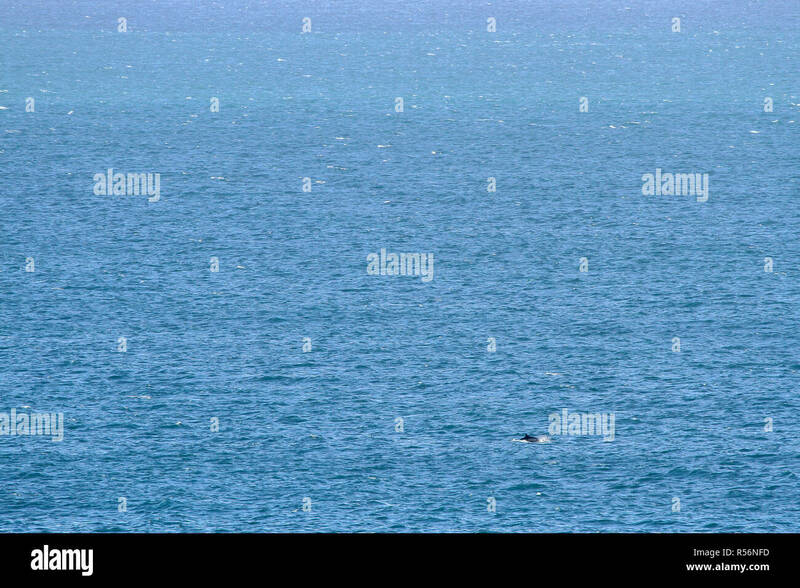 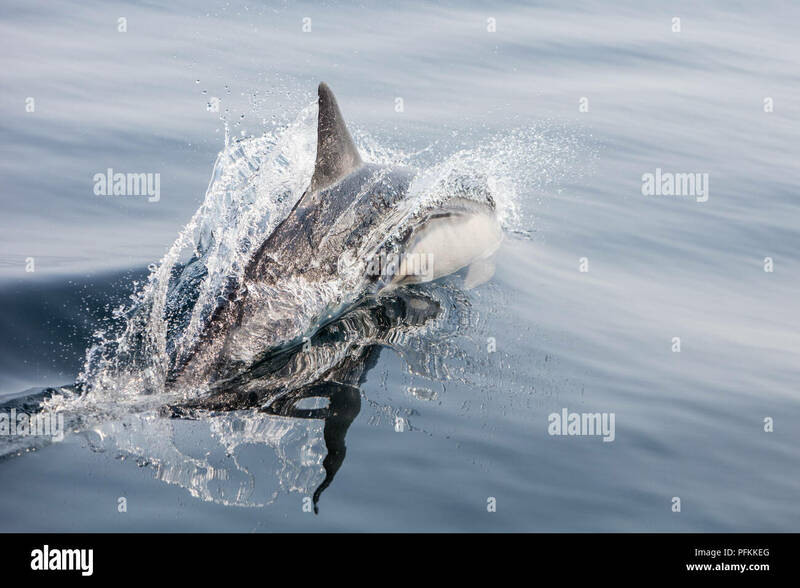 Ireland Whale watching from land - Single common dolphin breaching in Atlantic Ocean off the coast of Ireland at the Baltimore Beacon. 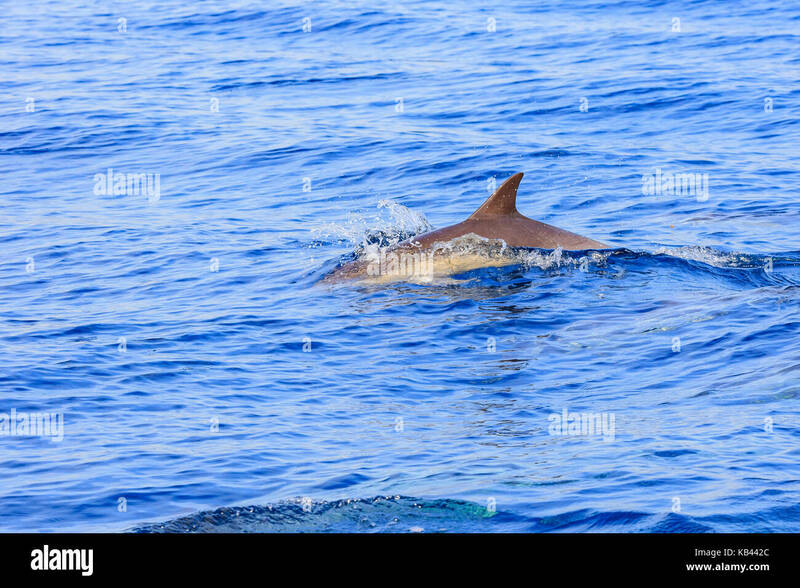 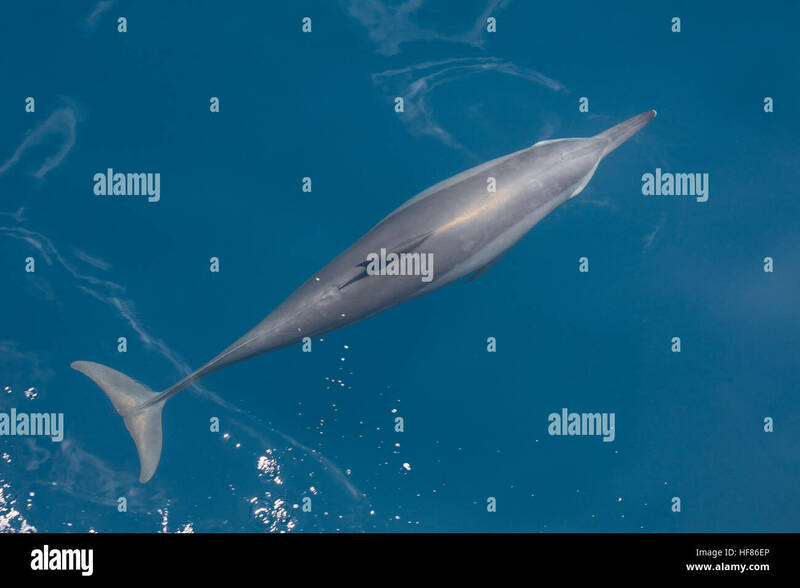 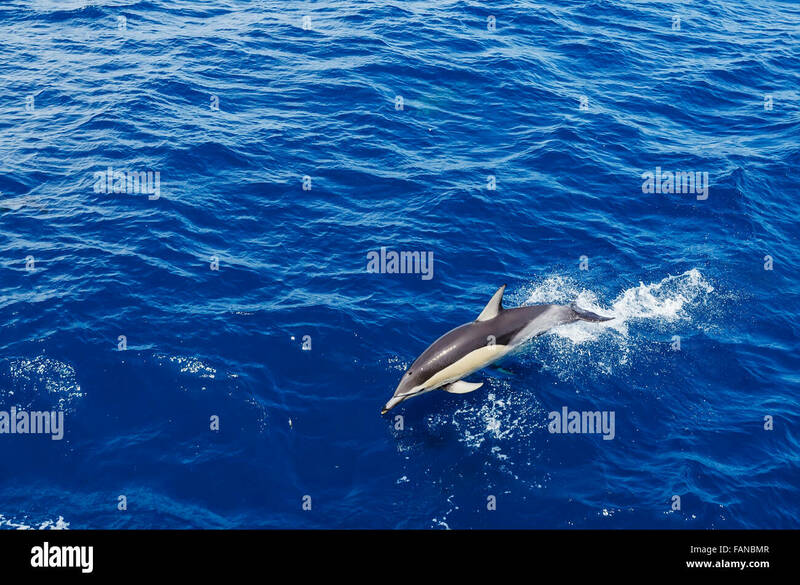 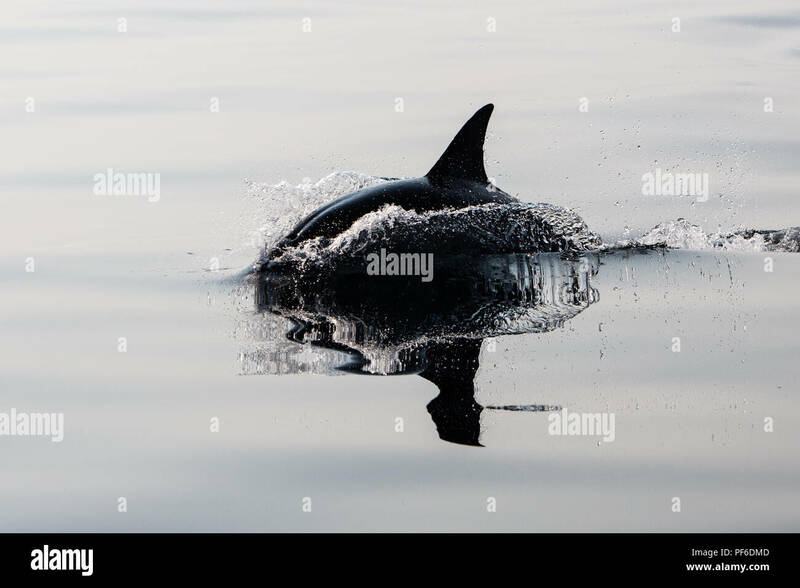 A Spinner dolphin cruises through the sunlit waters of the Solomon Islands. 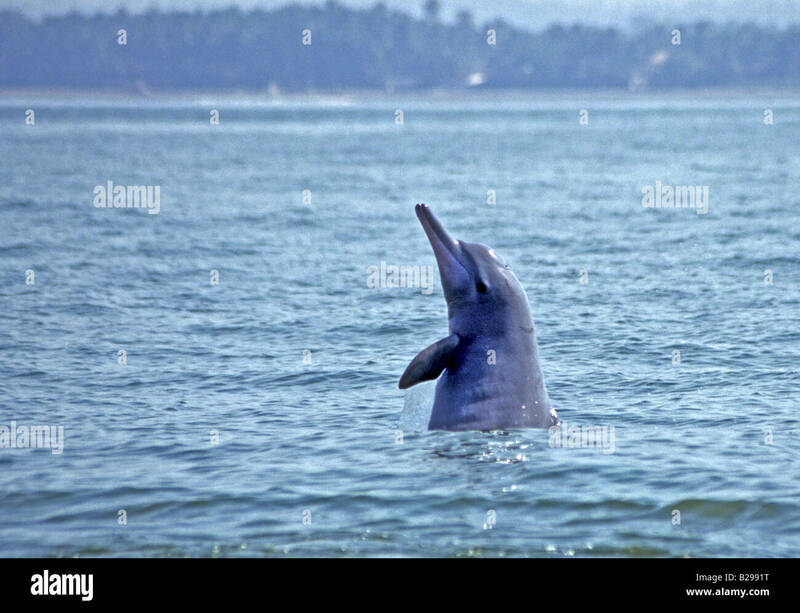 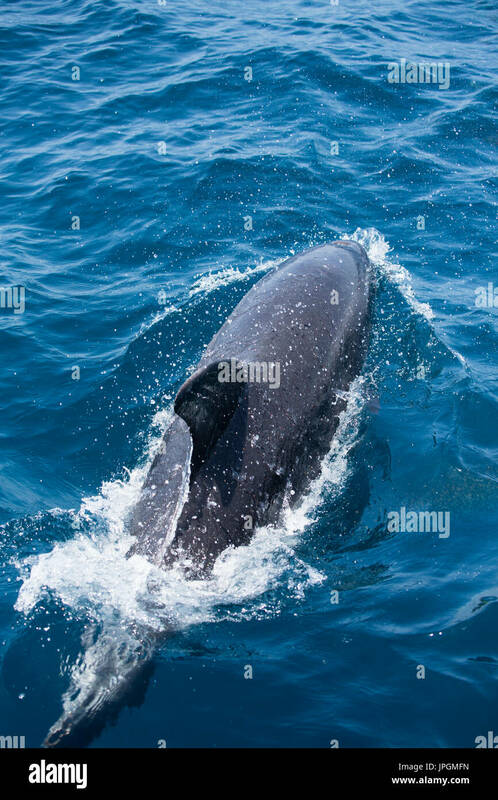 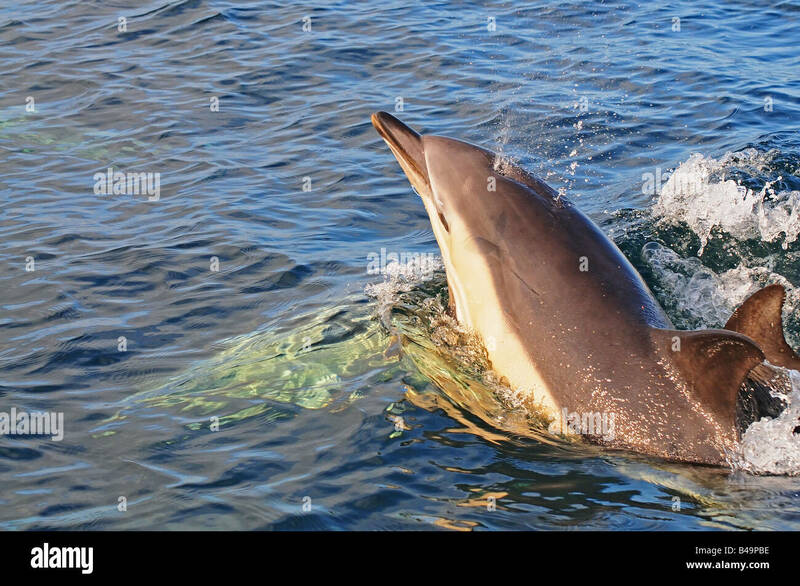 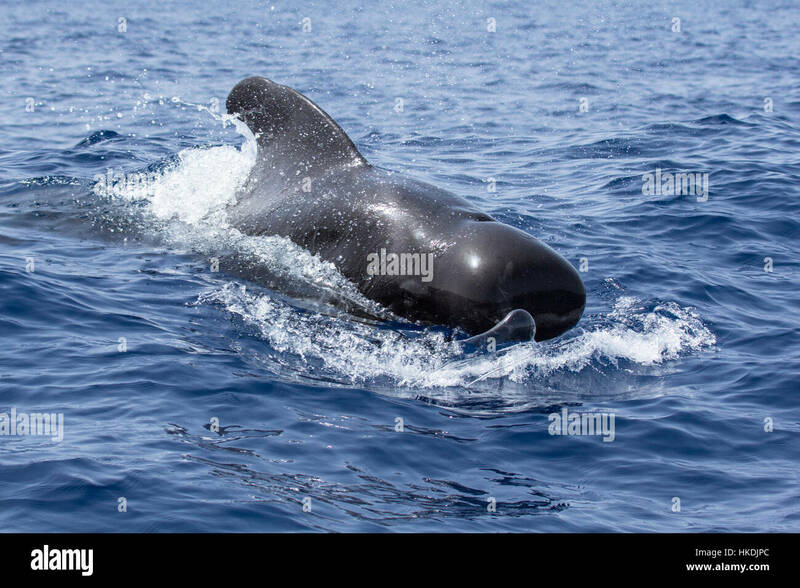 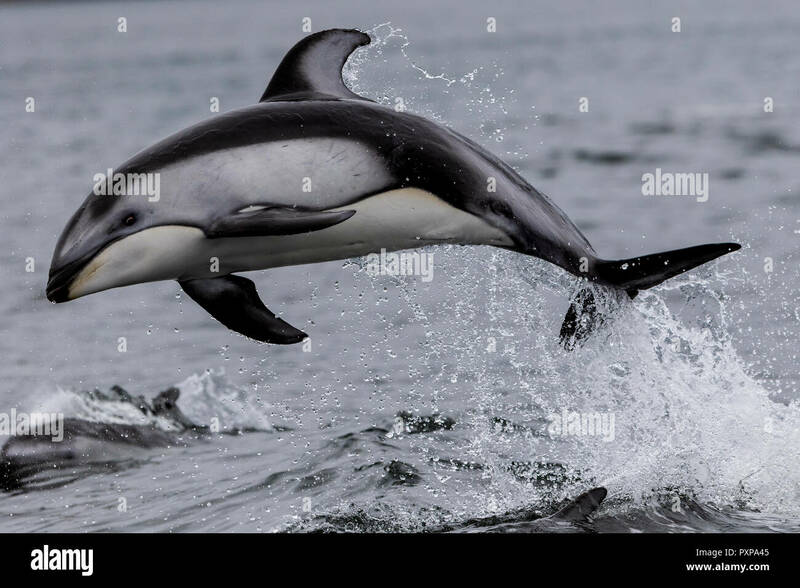 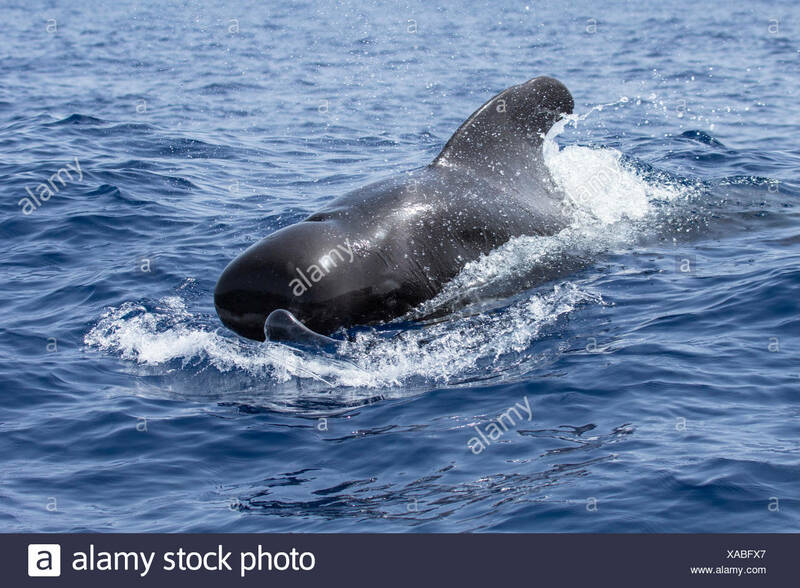 This widespread cetacean is highly acrobatic.